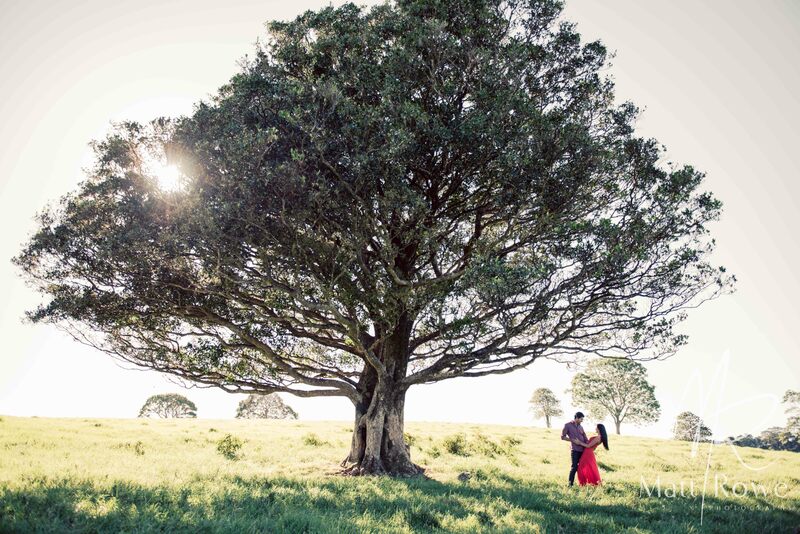 If you’re after some gorgeous wedding photography then you can’t go past Mango Hill Farm. 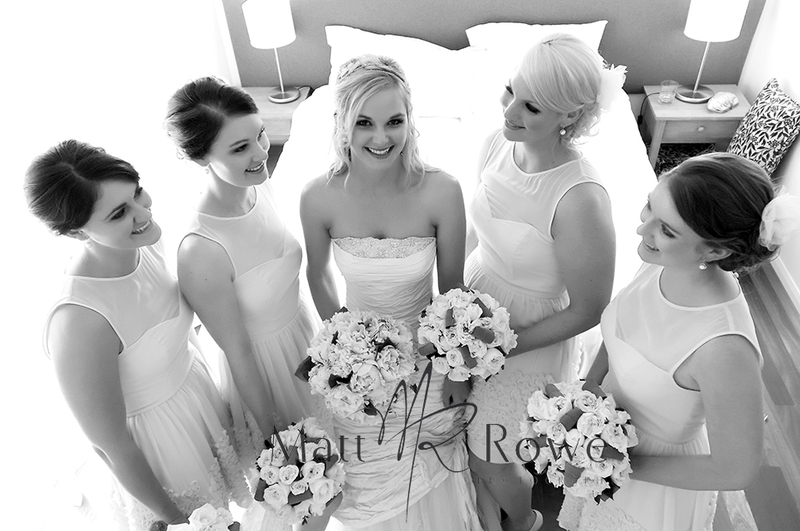 A stand-out favourite image of Sam with her mum and bridesmaids doing up her divine bridal gown. 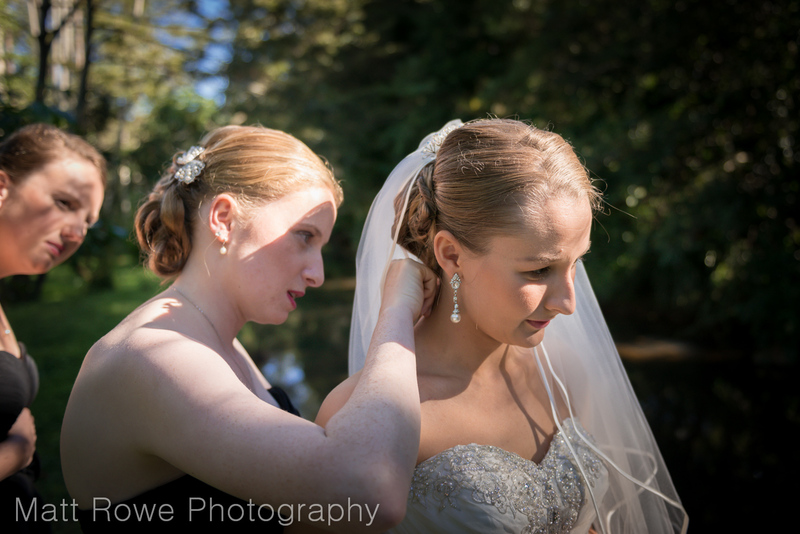 We have to give a shout-out here to the amazing Natalie Hunter Make-up Artist and Evalyn Parsons Hair for the gorgeous work they did. 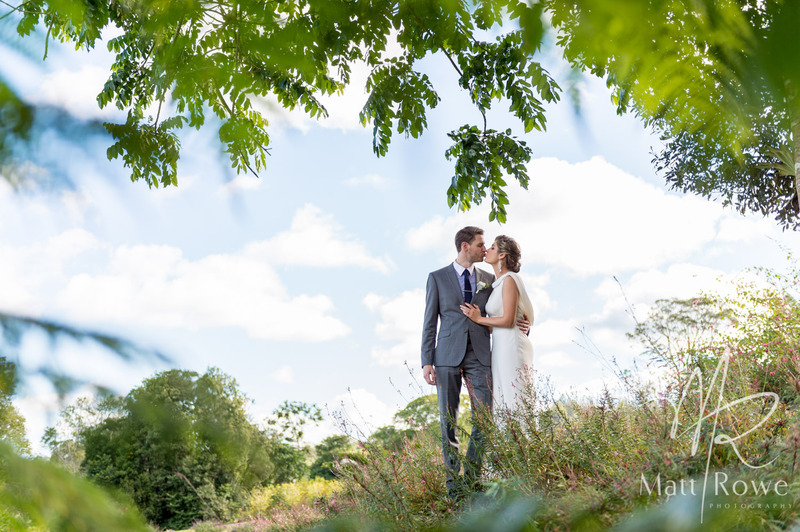 Being a wedding professional whose craft is also your creative outlet is such a privilege – trust us, as wedding photographers we are blessed too. 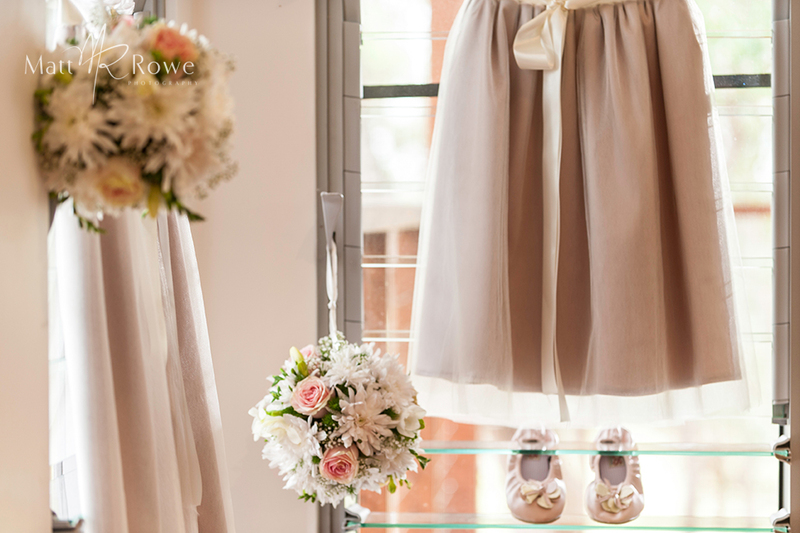 Sam’s beautiful bridesmaids’ dresses were a perfect spectrum of pinks – and original look which matched their wedding colours (and gorgeous bouquets). 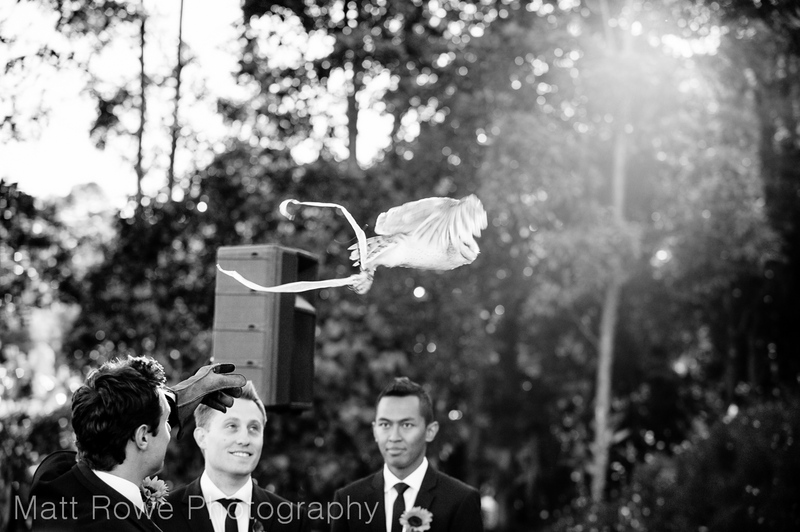 This is the time where the butterflies really set in! 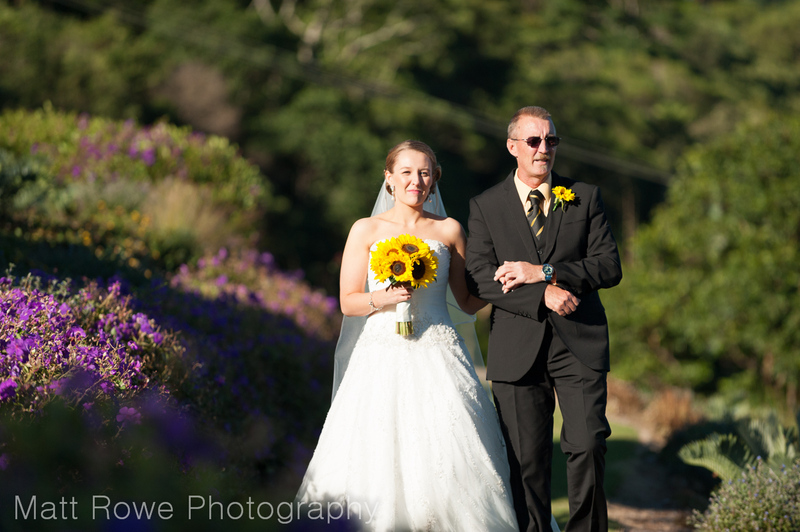 Thank goodness Dad’s are there to hold hands and steady the nerves. 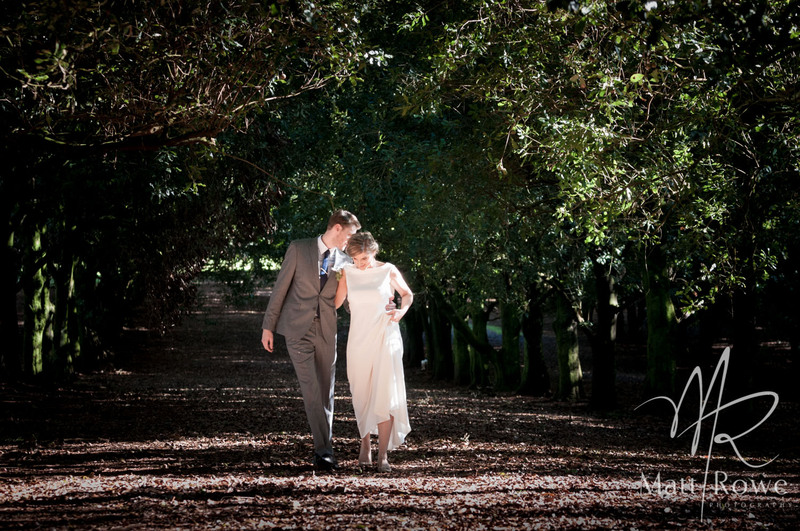 The lovely Jo from BIG love weddings created a really special ceremony for this blessed couple (and she wore cute red shoes!). 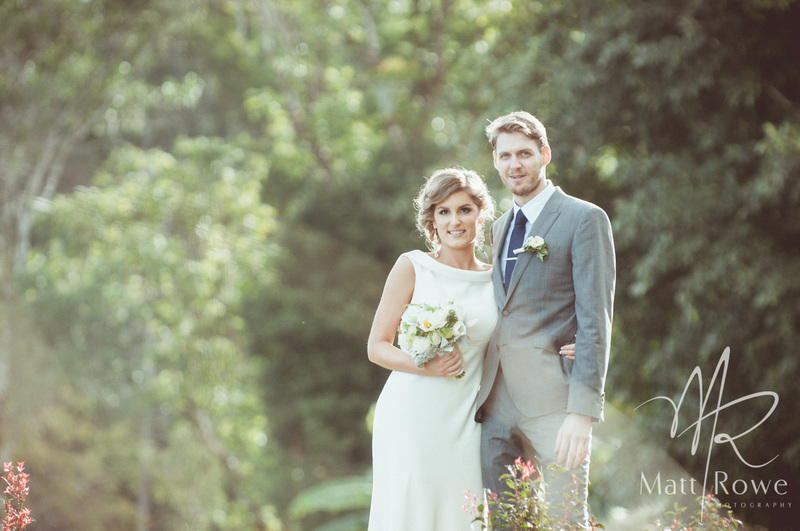 Sam and Jono created a truly beautiful wedding at Mango Hill Farm, Sunshine Coast. 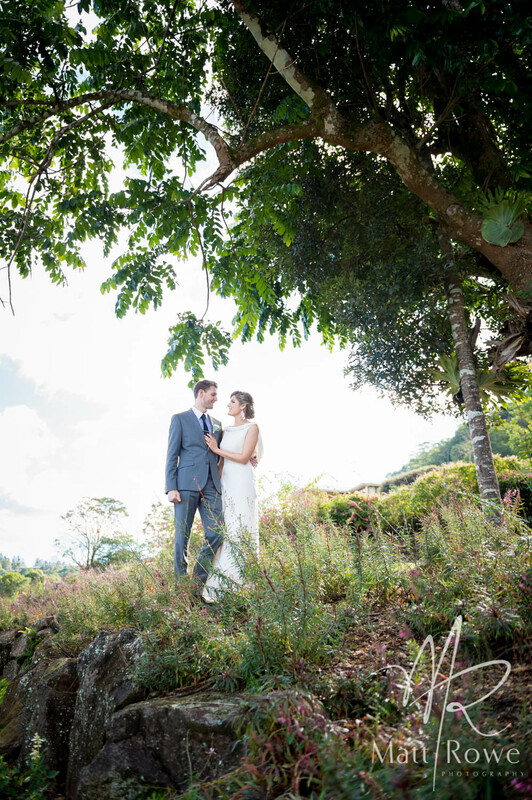 This venue provides a gorgeous natural backdrop for couples who are after a unique, fresh and stunning place to marry (it’s also an absolute favourite for wedding photography – just saying!). Ok, so this part is really cool: Jono made this box in his shed (very handy of him!). It is a time capsule which contains a love letter from Sam to Jono and Jono to Sam to be opened on their 5th wedding anniversary. How seriously romantic is that!? 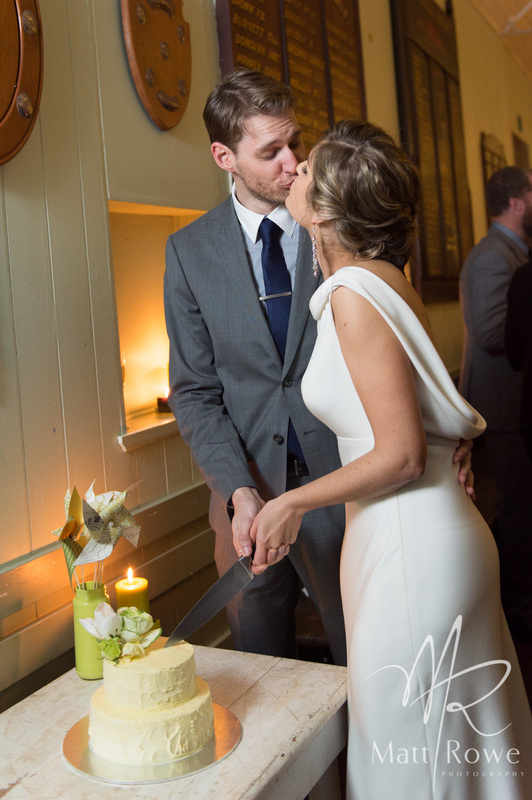 They both nailed it shut – not often a hammer is a prominent feature of a ceremony of love. Take a special look into these champagne glasses! 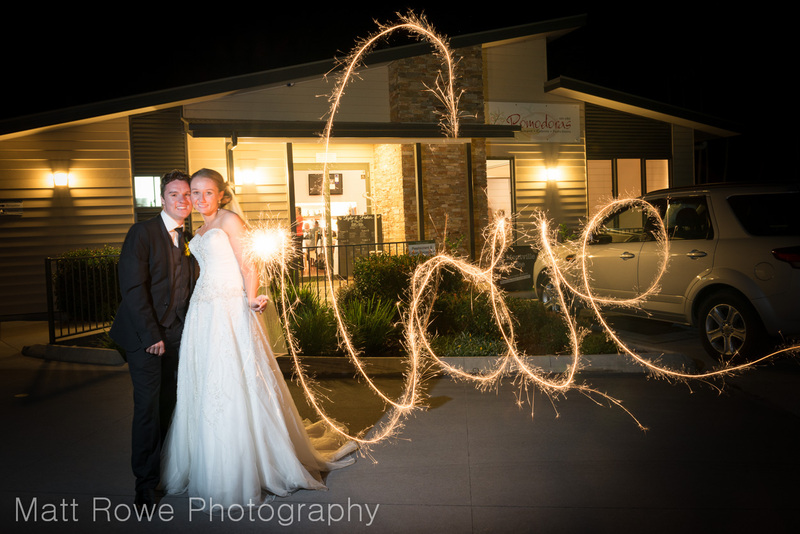 Reflections in wedding photography are a bit of a favourite for us and Mango Hill did deliver plenty of opportunity for impressive wedding photos and most importantly Sam and Jono are just so magically in love (of course)! Cheers! 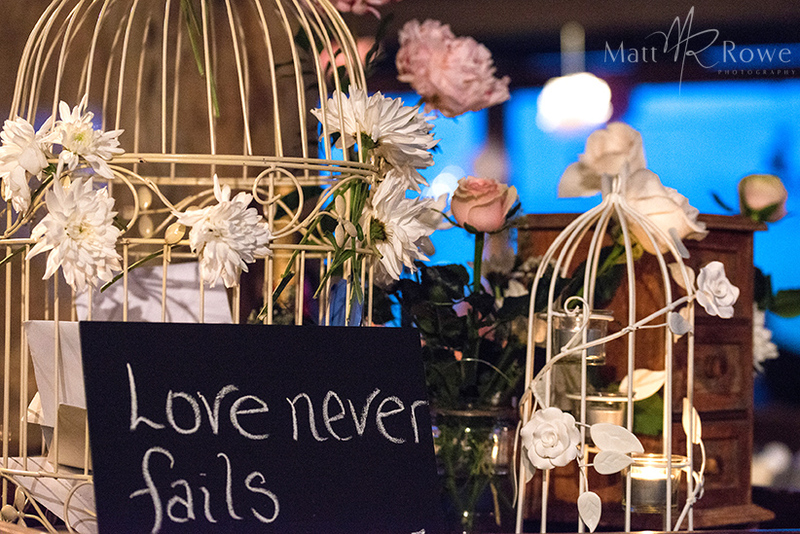 A toast to love. 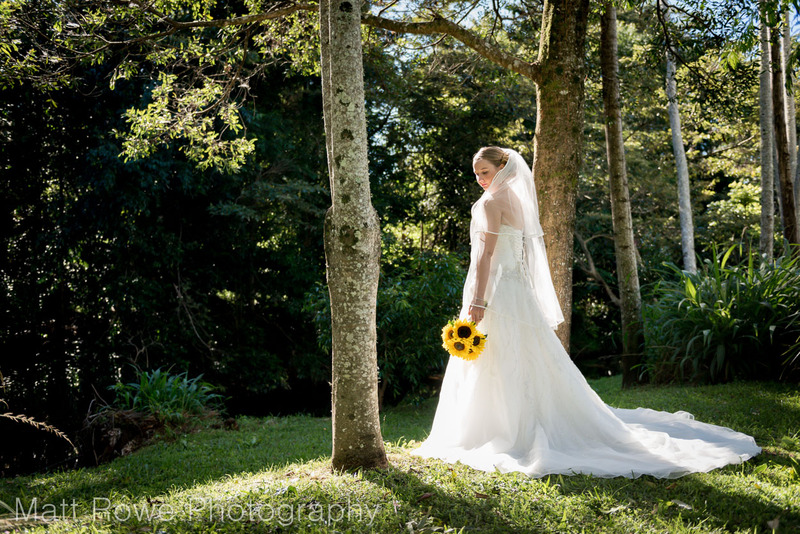 Mango Hill Farm Wedding Photography at its best! 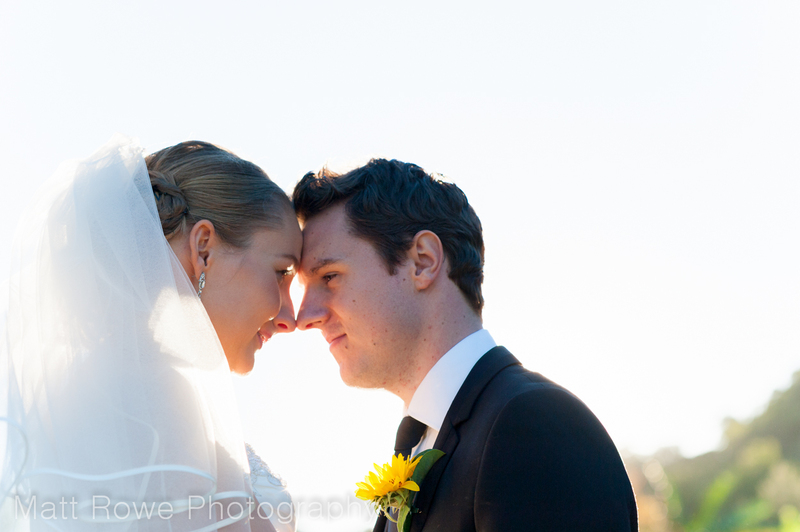 We met Cheyenne and Jared quite some time ago in Noosa, Sunshine Coast. 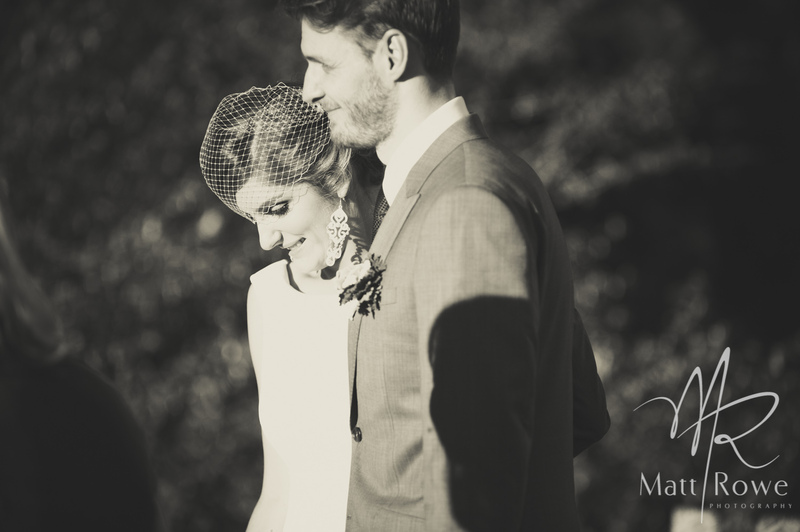 They are such a lovely couple with definite plans for their future together. 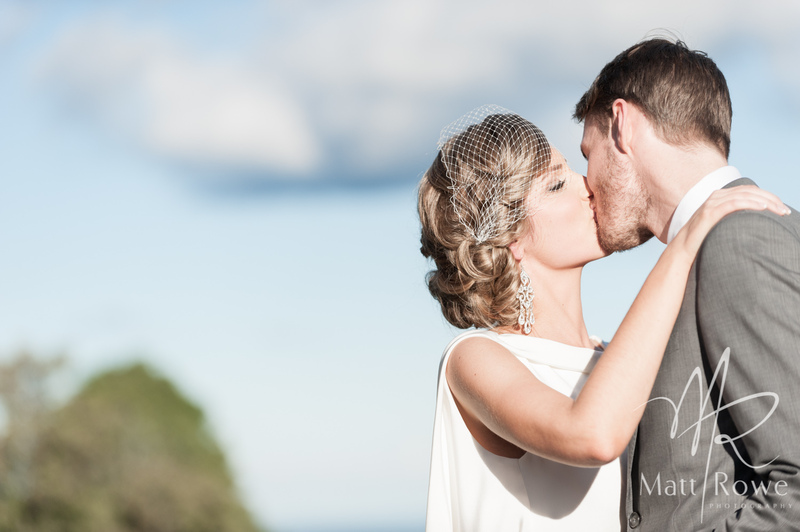 Of course we were privileged to be their Sunshine Coast wedding photographers. 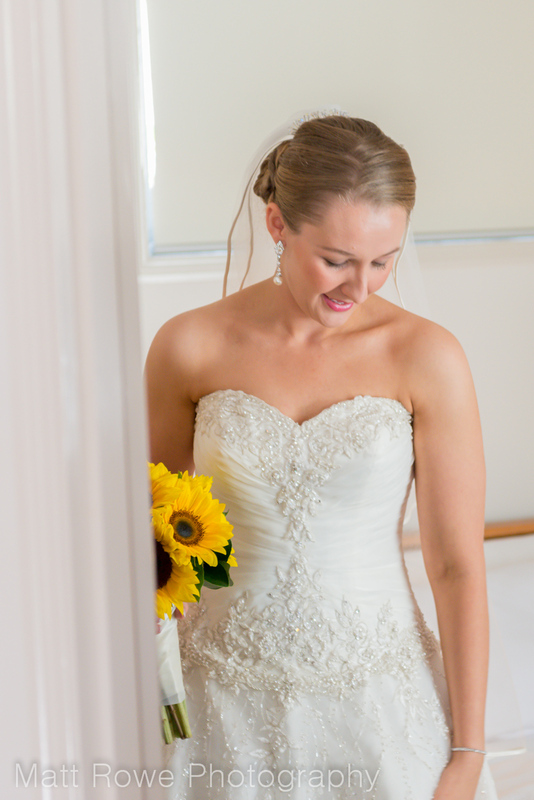 Cheyenne looked stunning in her choice of gown. 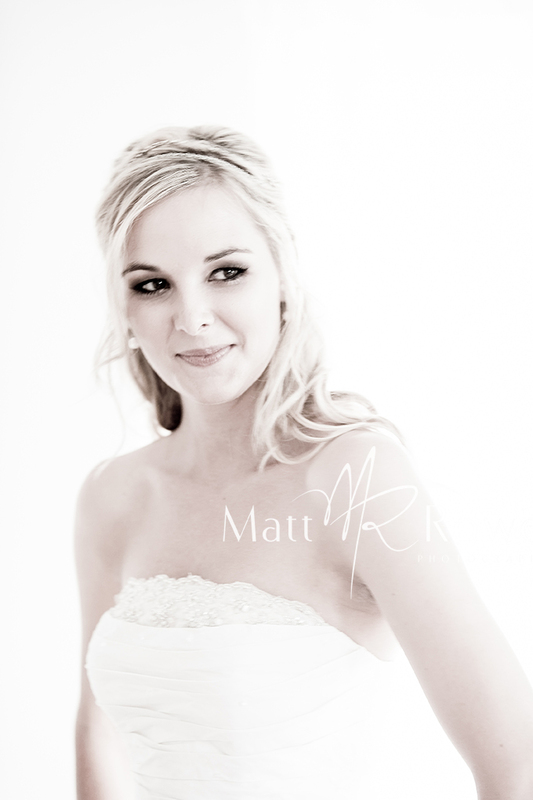 She styled her own hair and her make-up was executed perfectly by recent graduate from K J Artistry Academy. 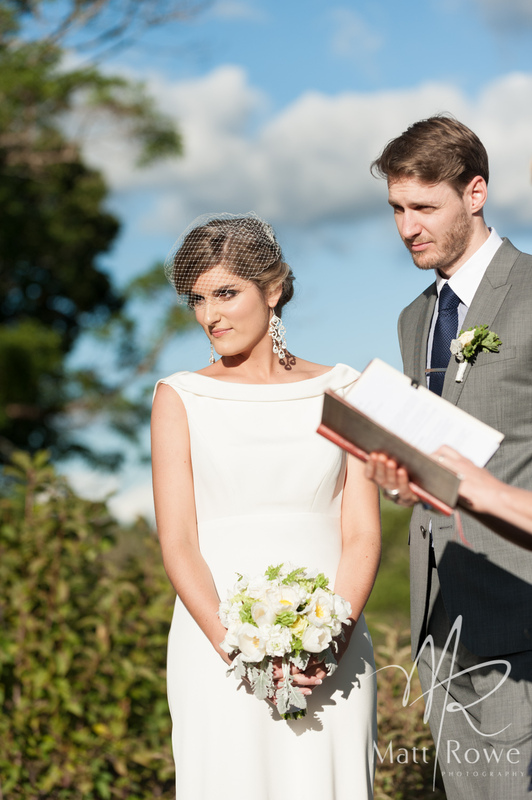 A small and intimate wedding ceremony was held at the Woombye Chapel which boasts cute and quaint elements of simple church style with its perfect picket fence and traditional chapel architecture. 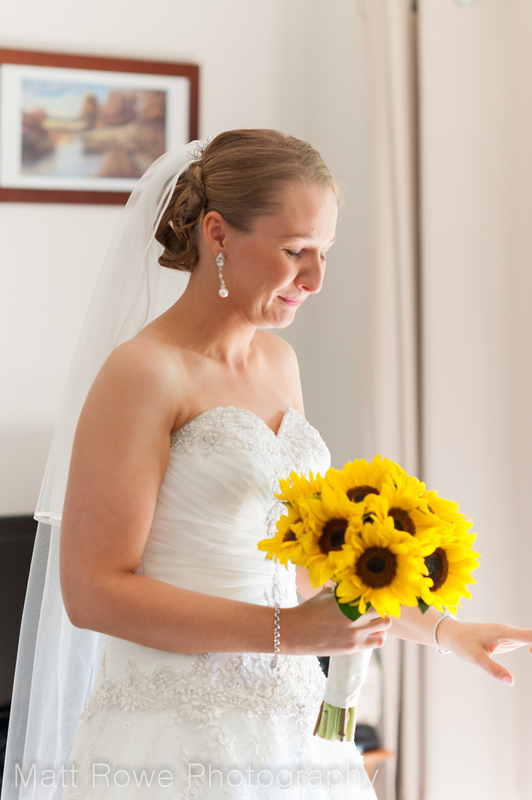 Displaying true modern independence, Cheyenne walked herself down the aisle to meet her groom. 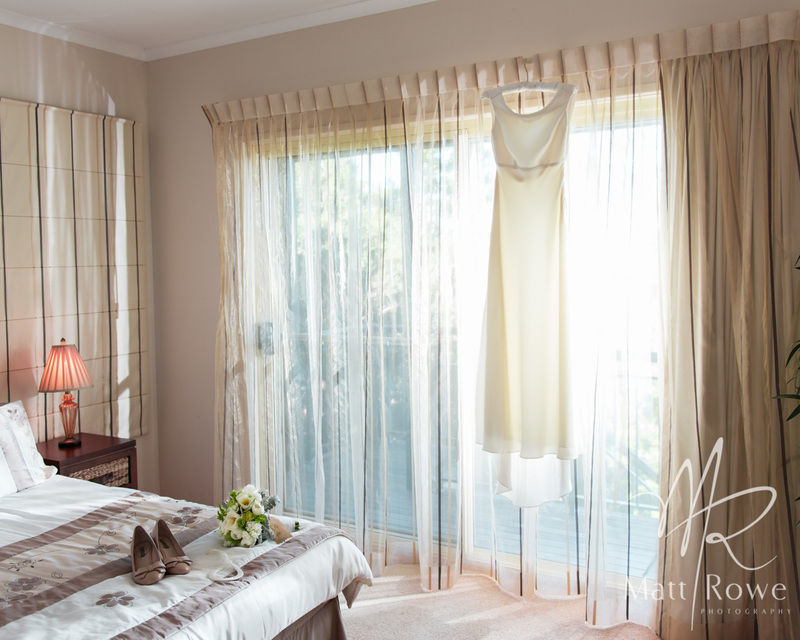 We love the harmony of the colours of love – white and red. 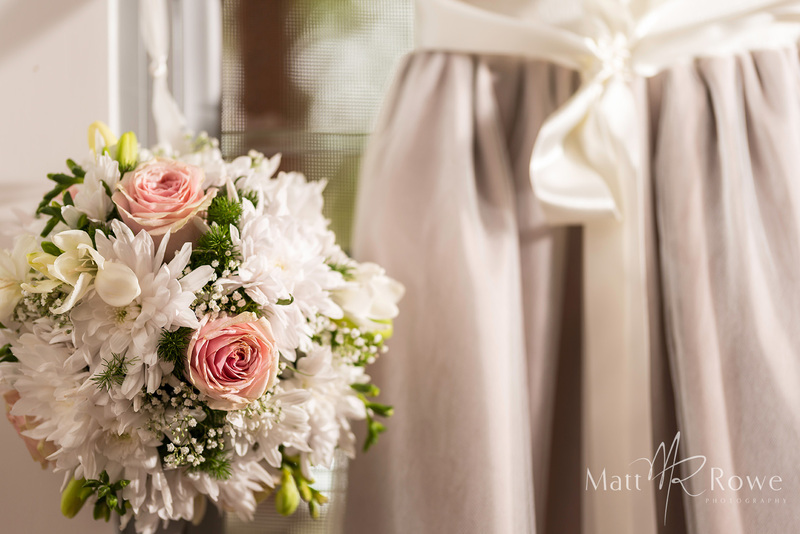 Red roses have symbolised love and relationships forever, so they really are the perfect choice for a bridal bouquet. 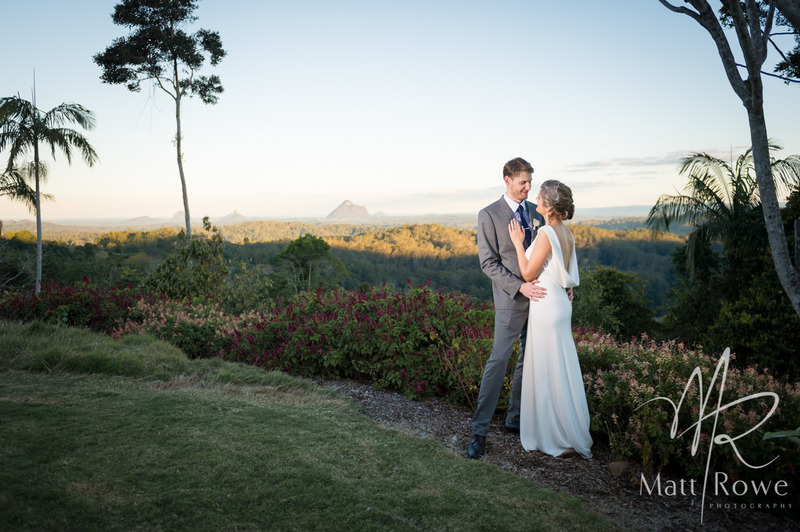 We have a few special places for Sunshine Coast Wedding Photography where long grasses and rolling hills invite some gorgeous results on sunset. 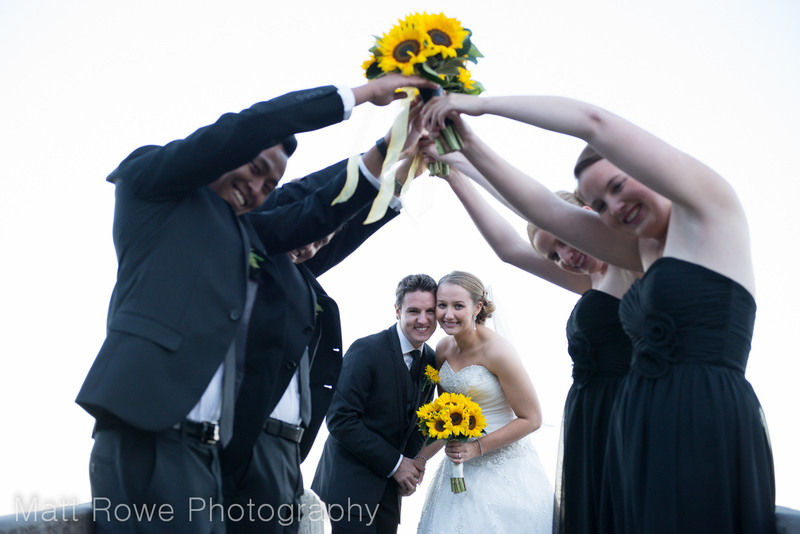 Cheyenne and Jared, a sincere thank you for allowing us to be part of your day. 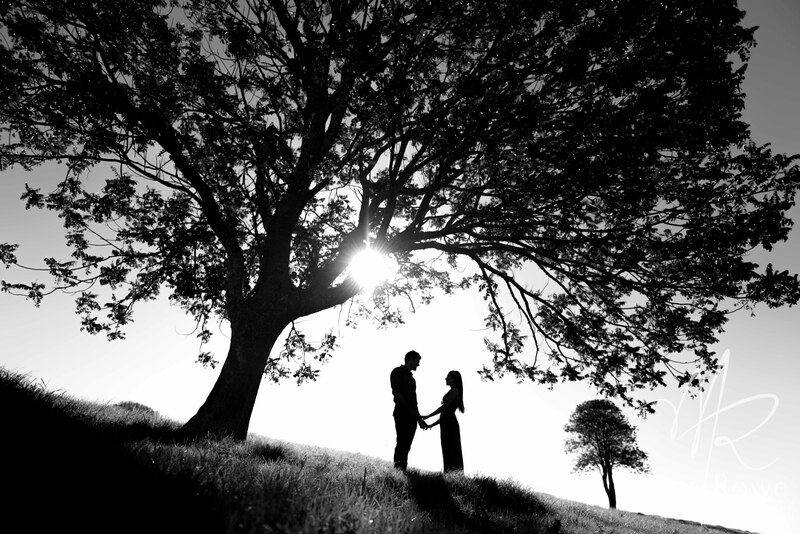 It is obvious there is a true strength within the dynamic of your relationship that will see you through life together. 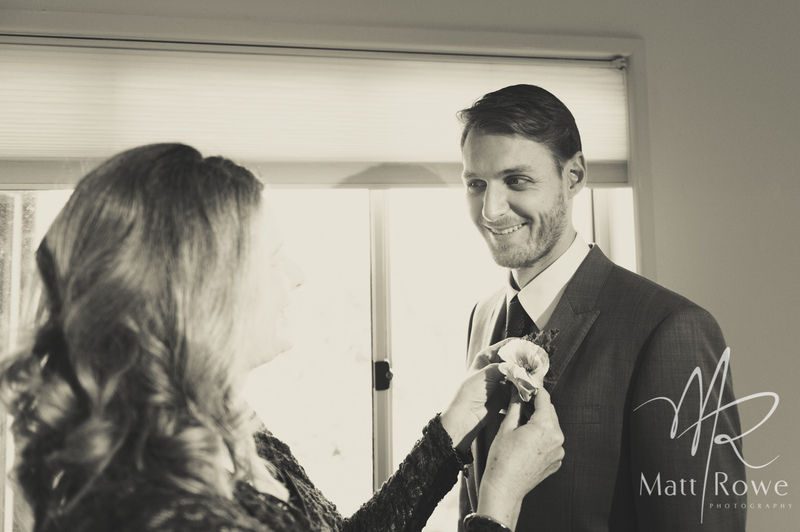 Wishes and Blessings, Matt and Amanda. 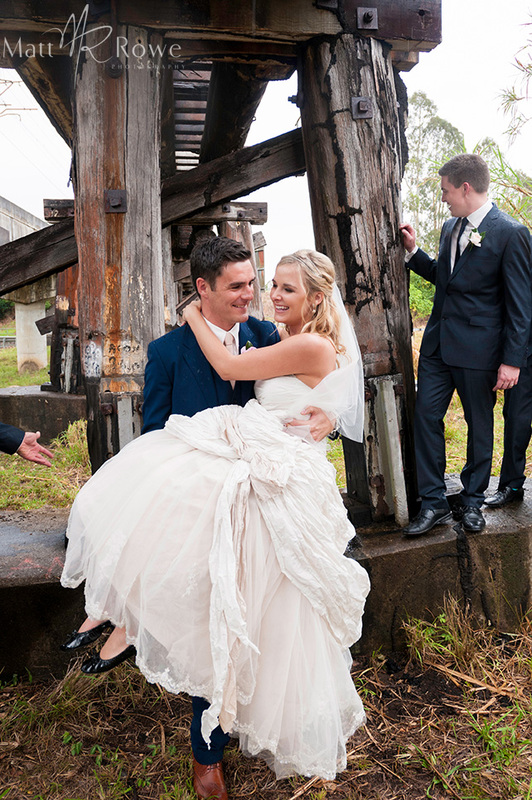 Yandina Station is one of the most coveted Wedding Venues for couples and photographers alike! 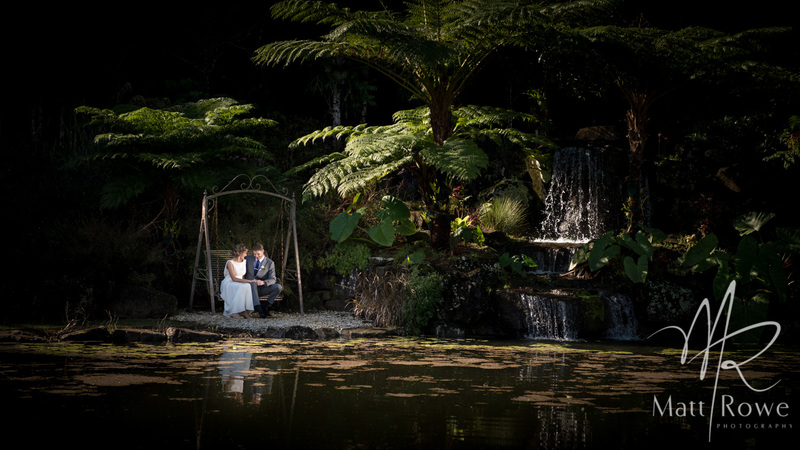 UK couple, Melika and Dan, crafted their wedding from abroad and created a unique vintage-styled day for their Australian nuptials. Little blessing come in many forms but these two dear ones were extra special. 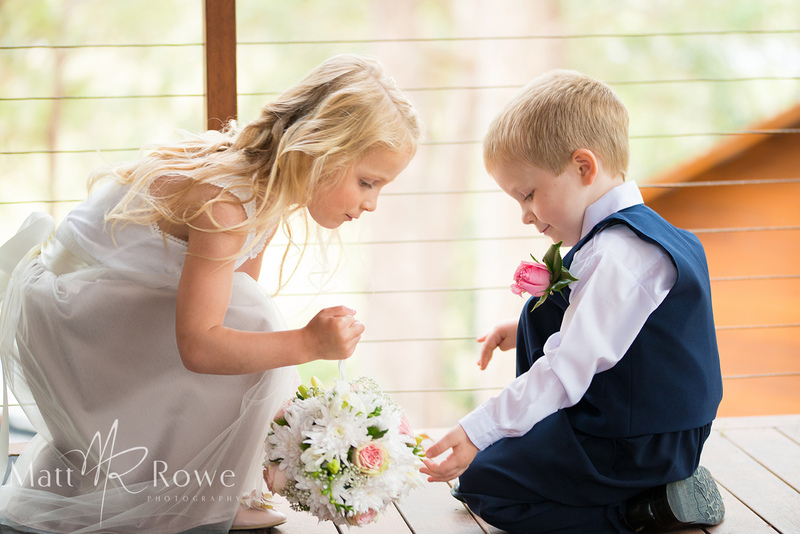 What a perfect bouquet for a flower-girl! 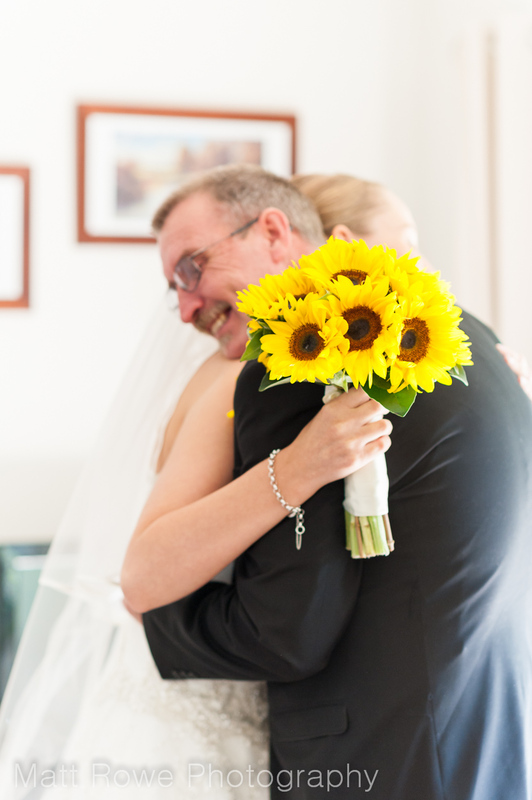 One thing that many brides stress about is the uncontrollable forces of Mother nature. 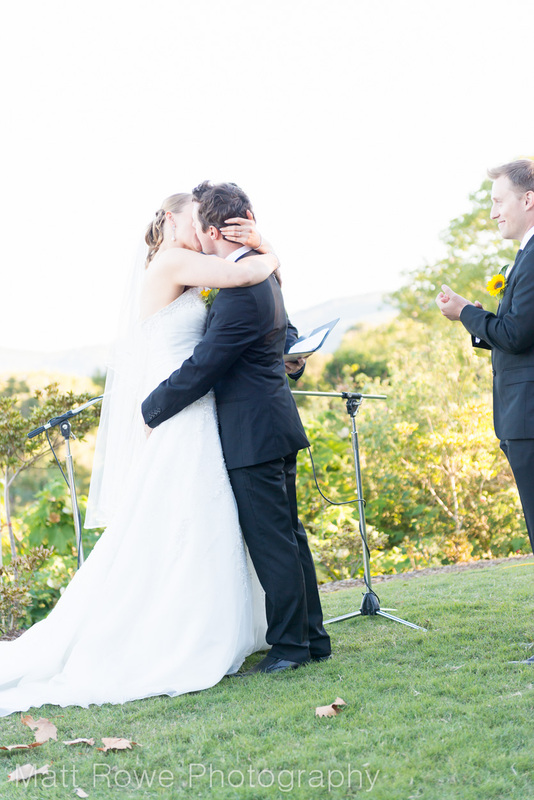 As it happened the 10th of the 11th 2012 (see that – 10-11-12!) was one of the first downpours in months. 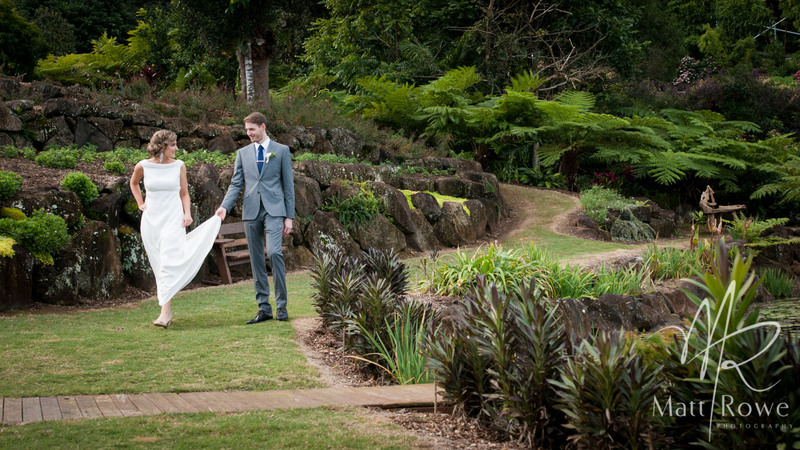 Lucky for our couple, we had a few original undercover locations for their Yandina wedding photographs. 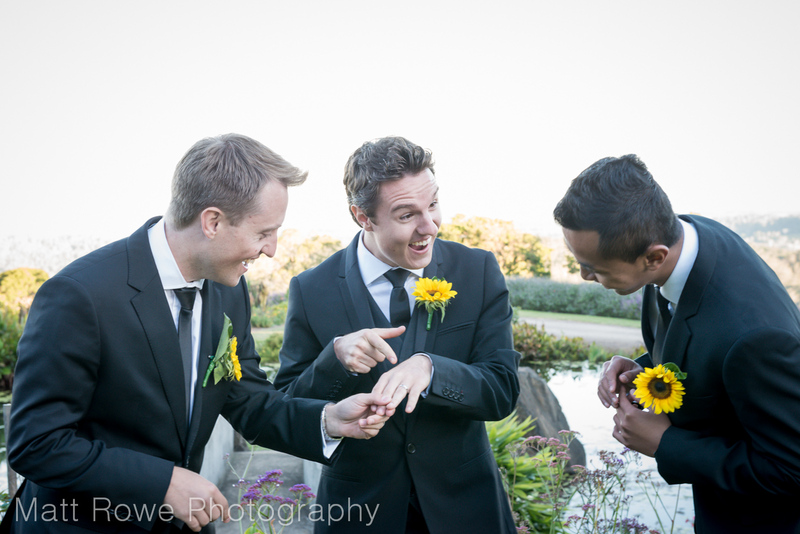 Yes, so the ladies get to wear cool shoes and accessories, but these gents didn’t miss out on having a bit of fun. 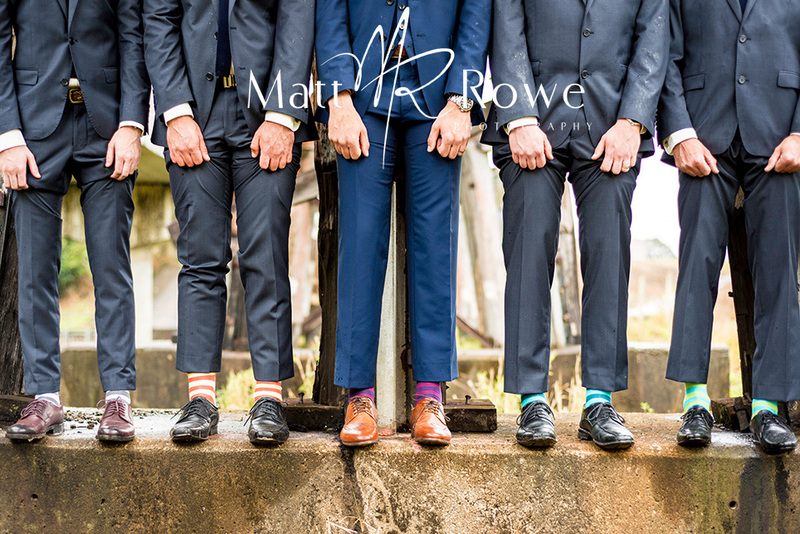 Different socks displaying a touch of colour gave more than a hint about Dan’s humour and the boys were more than happy to share in the laughs. 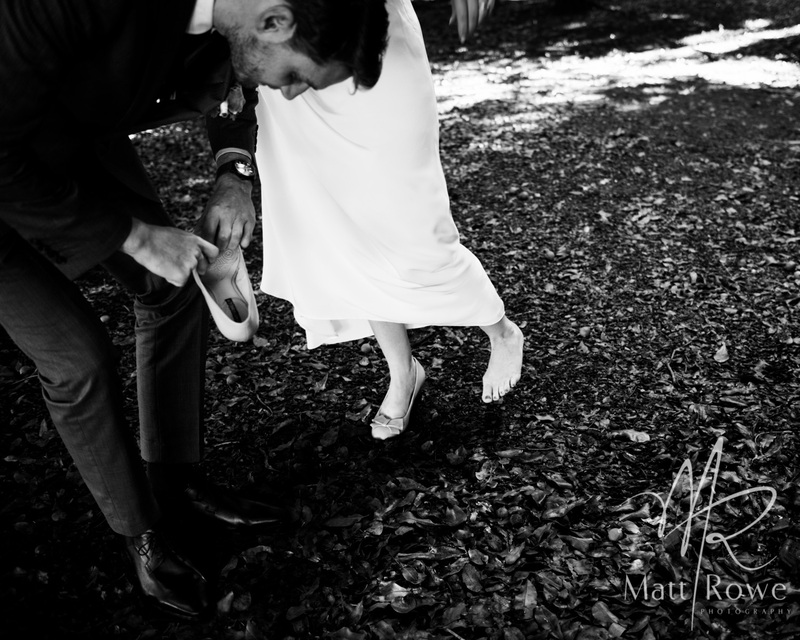 Supported through the rain by her dashing husband in her sister’s ballet flats, Melika remained as graceful as ever. 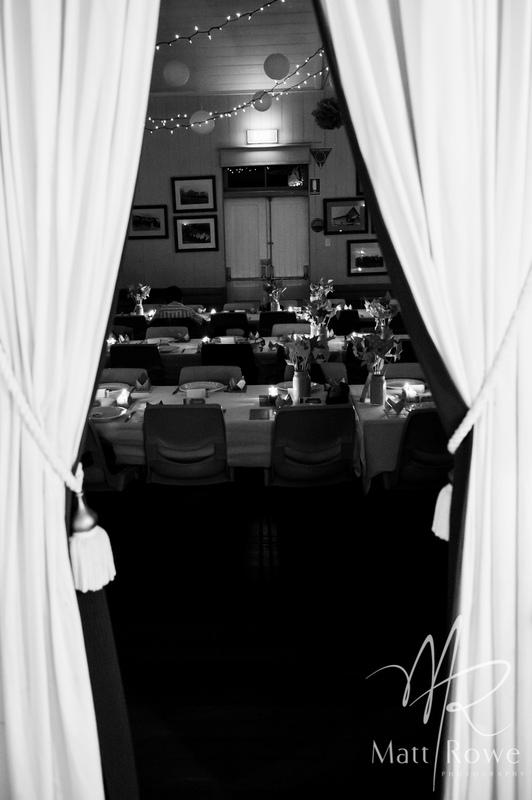 Decorations which adorned Yandina Station for Melika and Dan’s reception were created by months of hard work sourcing, cleaning and preparing. 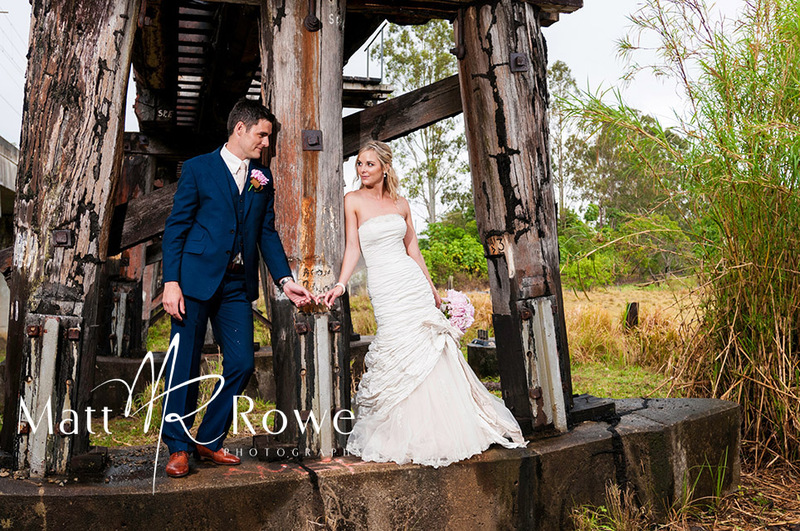 Filed in: Yandina station wedding photography, rainy wedding photography, Sunshine Coast wedding photography, bridge wedding photography, quirky wedding photography, fine art wedding photography. 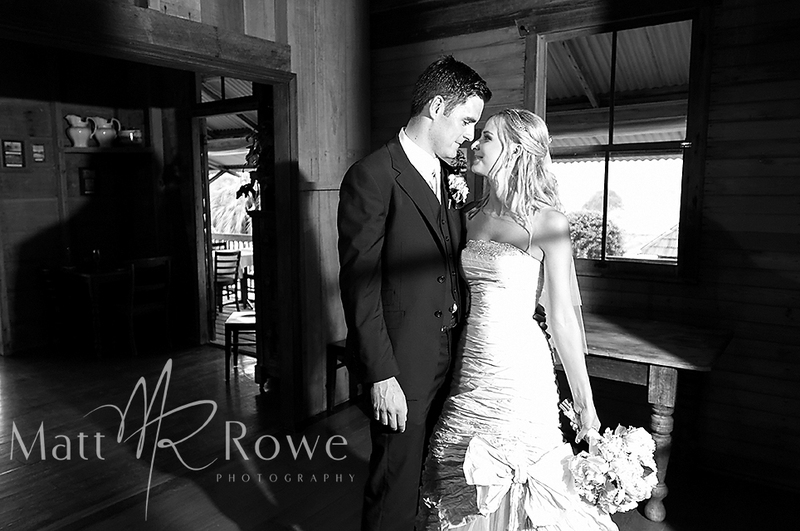 Sunshine Coast Church Wedding Photographer, Matt Rowe was in high spirits for this Winter Wedding on the Sunshine Coast. 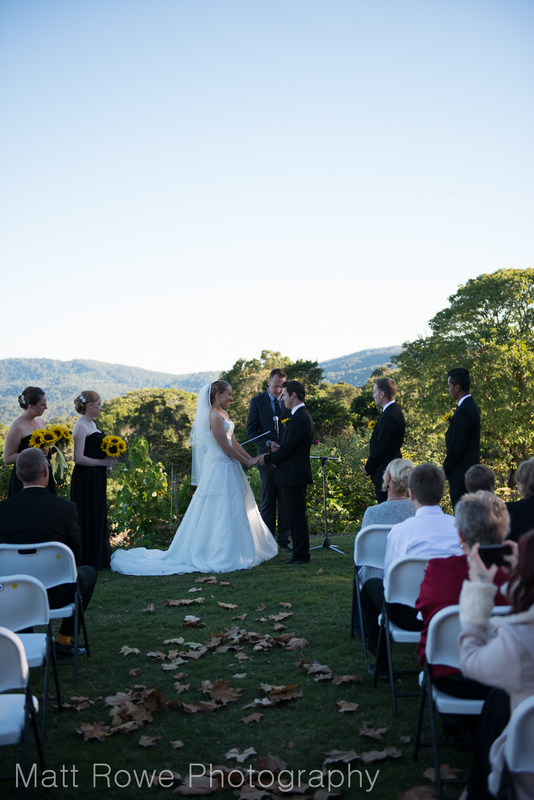 Chloe and Kenny shared their vows at the beautiful Immanuel Lutheran Church with a reception at the Forest Sanctuary to follow. Immanuel Lutheran Church boasts floor to ceiling windows with an elevated alter. 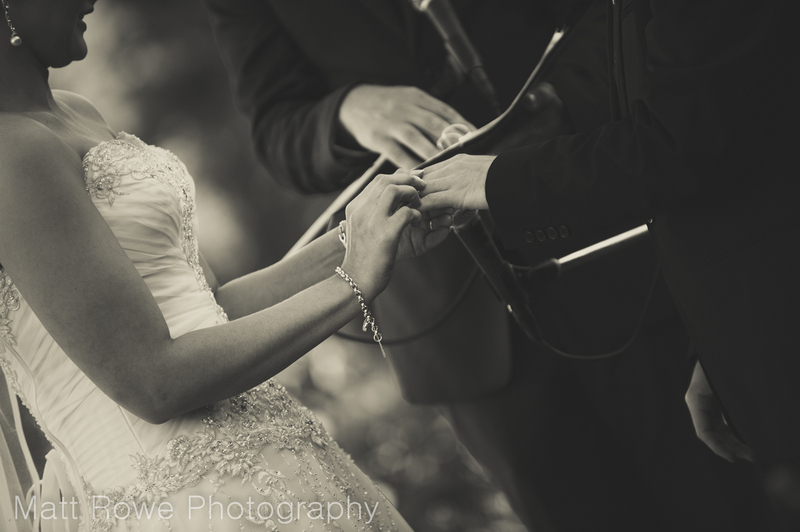 For wedding photography it is a dream if you’re after a religious service as the light is perfect and the cross remains a central focus as you both take your vows and make your promises to one another in the presence of your friends, family and faith. 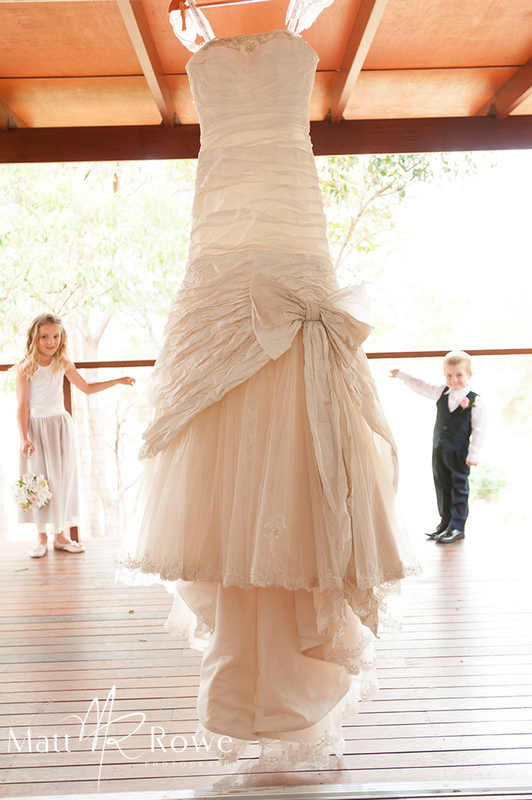 Just loving coloured bridal shoes at the moment! 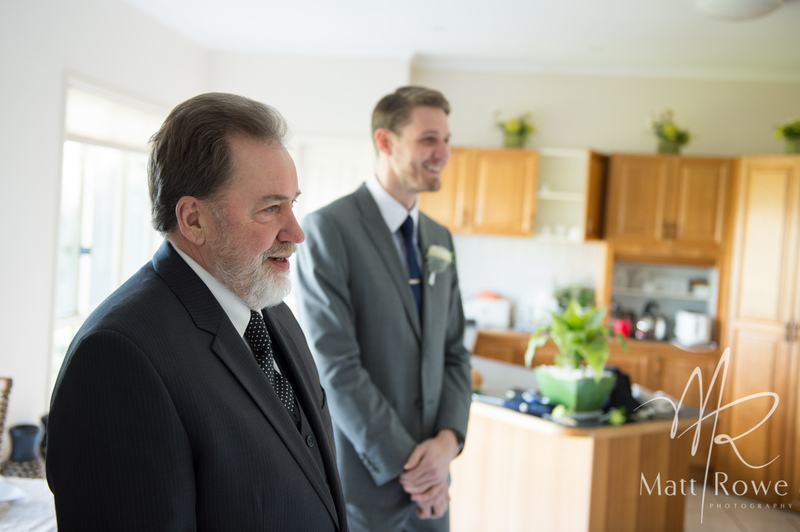 Chloe’s dad looked very cool and ‘distinguished’ in his bow-tie and hat . 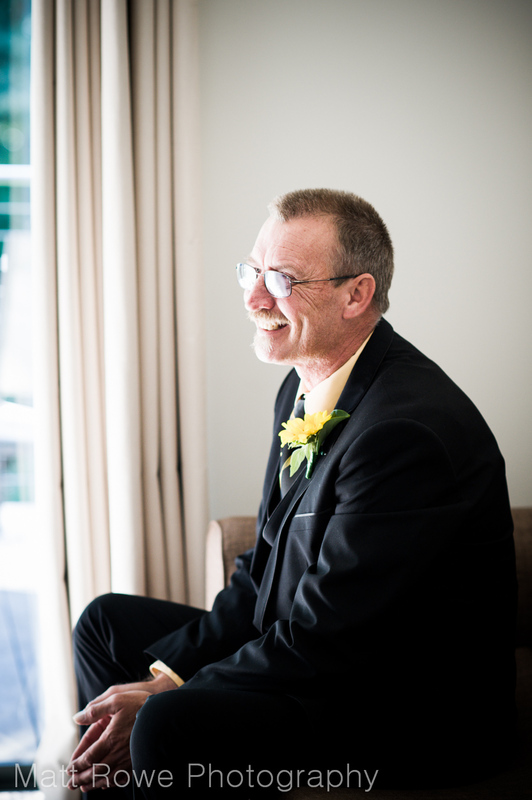 Got to love a dad with flair and fashion sense! 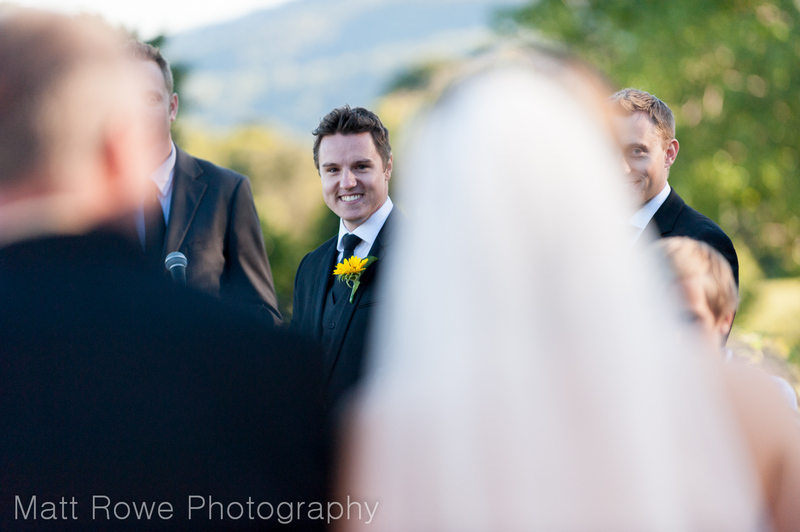 A favourite moment to capture for a wedding photographer just has to be the groom when he first sights his beautiful bride. 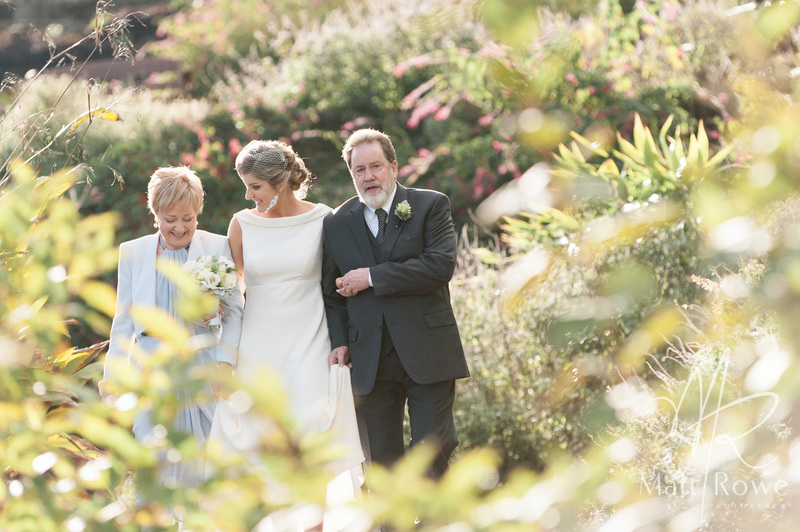 You can see Kenny’s joy and emotion clearly as Chloe and her dad walk up the aisle. 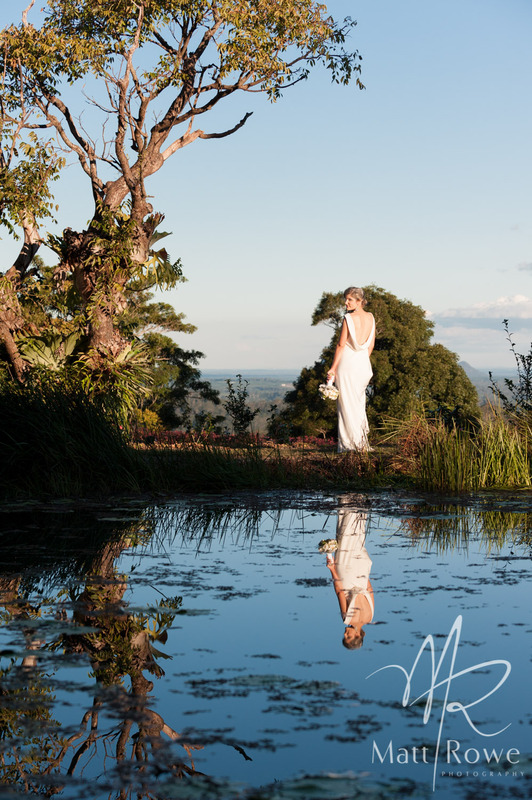 Reflections are one of our favourite ways to involve elements in an image. 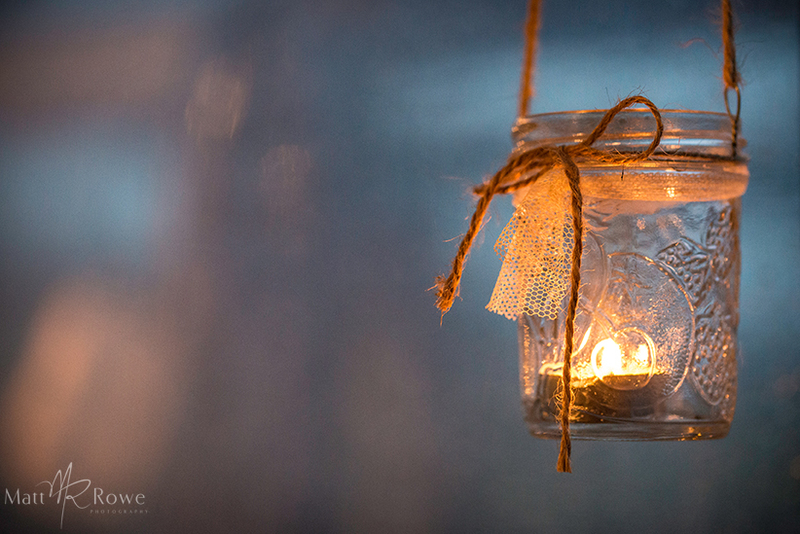 (If you follow our photography, that will be pretty obvious by now!). The Church windows created the perfect opportunity to get some action shots of the bridal party while Chloe and Kenny remained in the foreground for their super-cool wedding photographs. 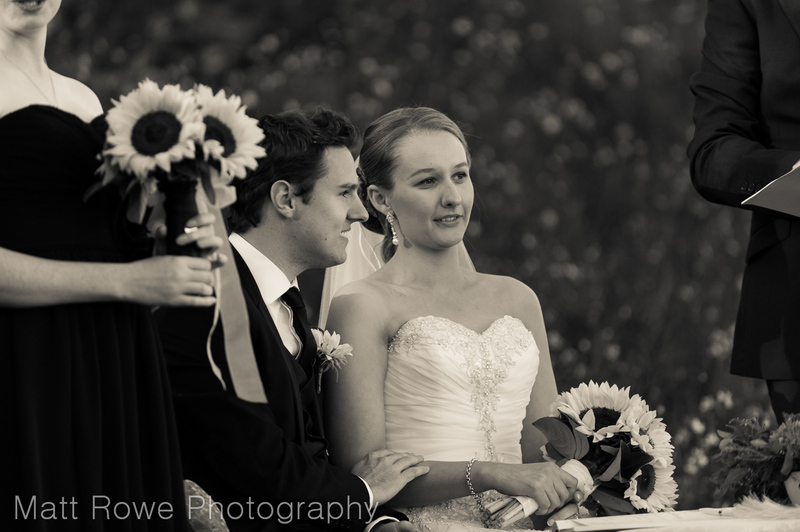 So yes, there was a spot of the rain (hello weddings 2013! ), but did this dampen the mood? Never! 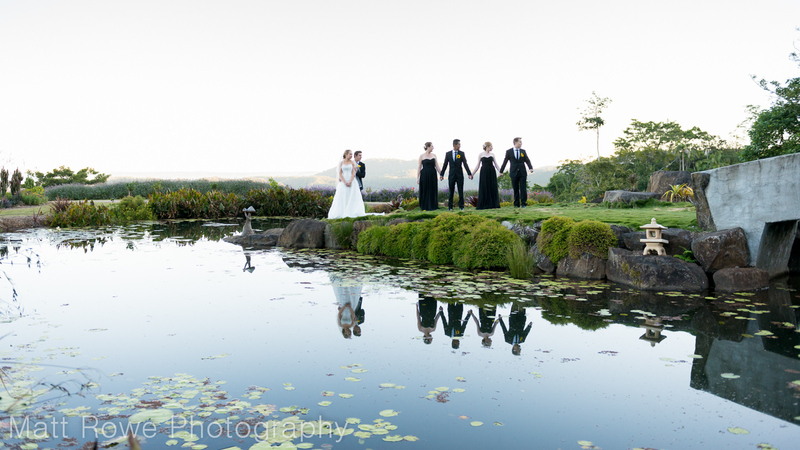 Little spots of reflective brilliance add another quality and dimension to wedding photography. 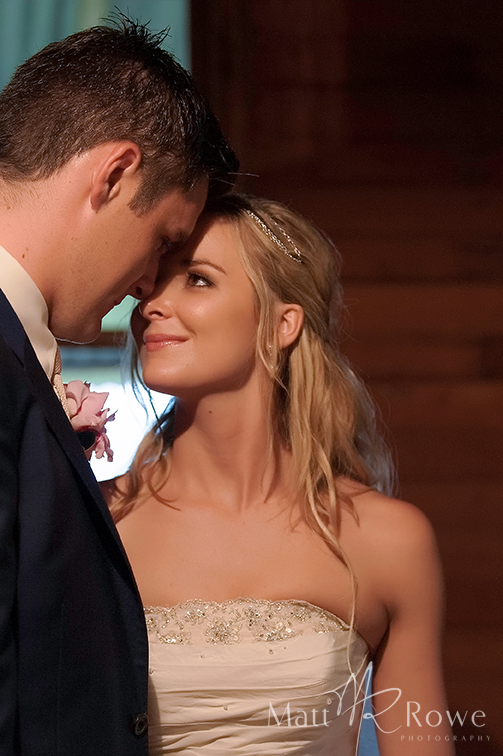 Chloe and Kenny are such a gorgeous couple of love birds – super sweet and super in love. 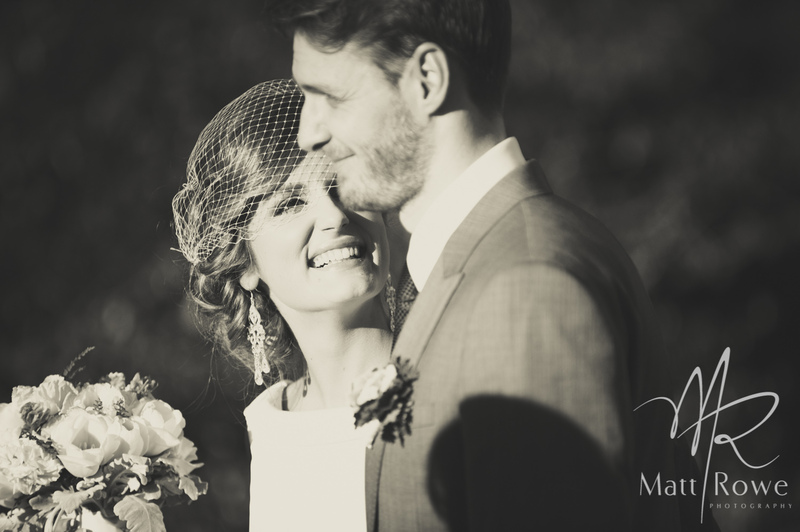 It was a pleasure to photograph their wedding day. 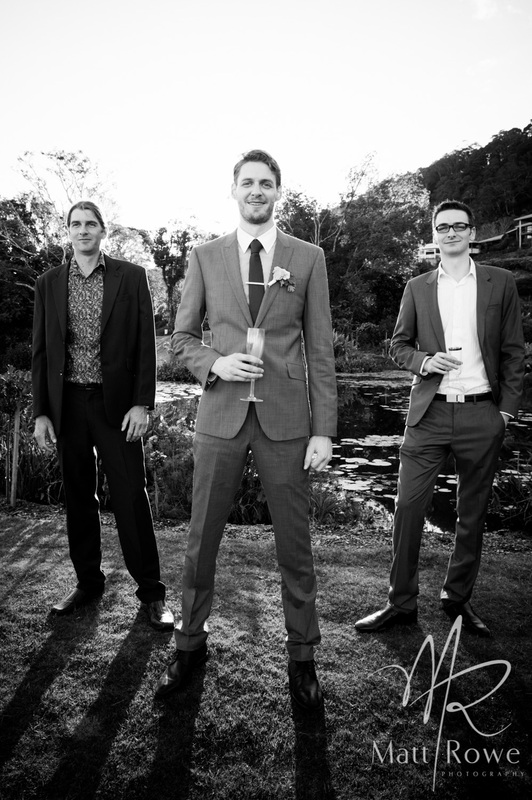 We do like a bit of quirky fun on a wedding day – and while the ‘tin solider’ pose is not for everyone it can provide a little variety in your wedding photos and give you a laugh in years to come. This car timed its drive perfectly for a fun photo. 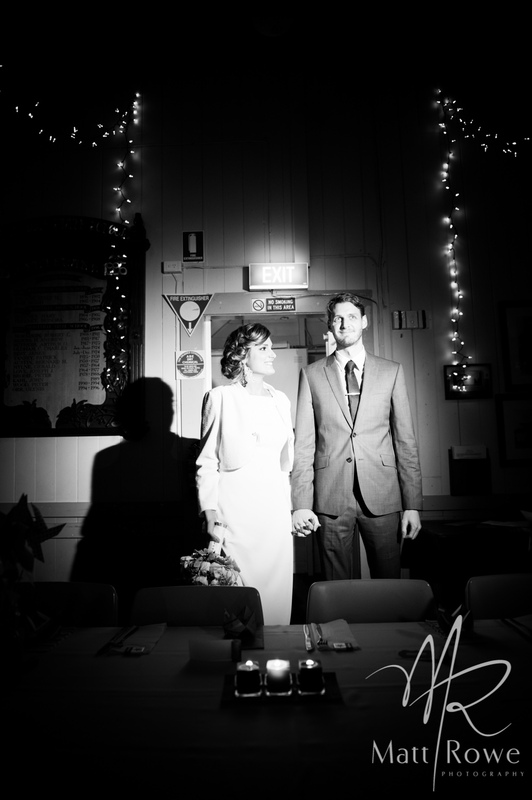 Little White Wedding Church Photographer, Matt Rowe Photography, was chomping at the bit for Melissa and Douglas’ Hinterland wedding. (I know, the expression is a little off-putting, but honestly, he was really excited!). 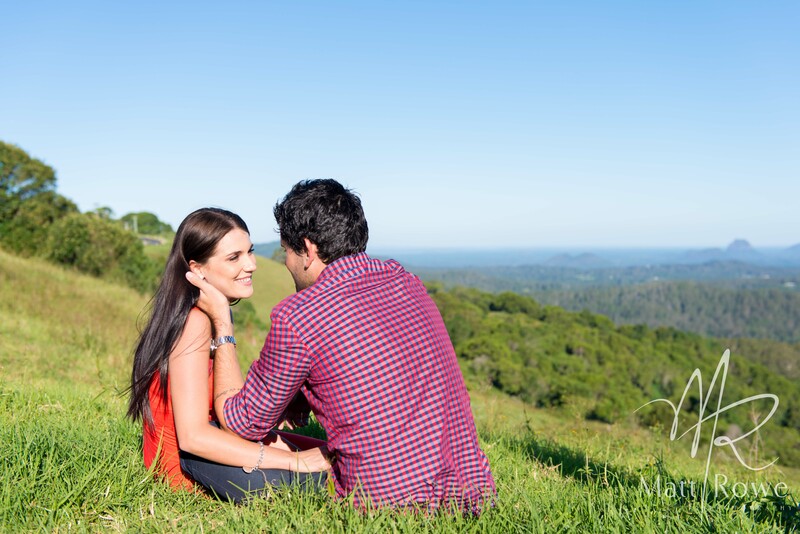 Having met Melissa and Douglas for their engagement session earlier in the year (click here to see it – you will be patting yourself on the back that you did; it is THAT cool! 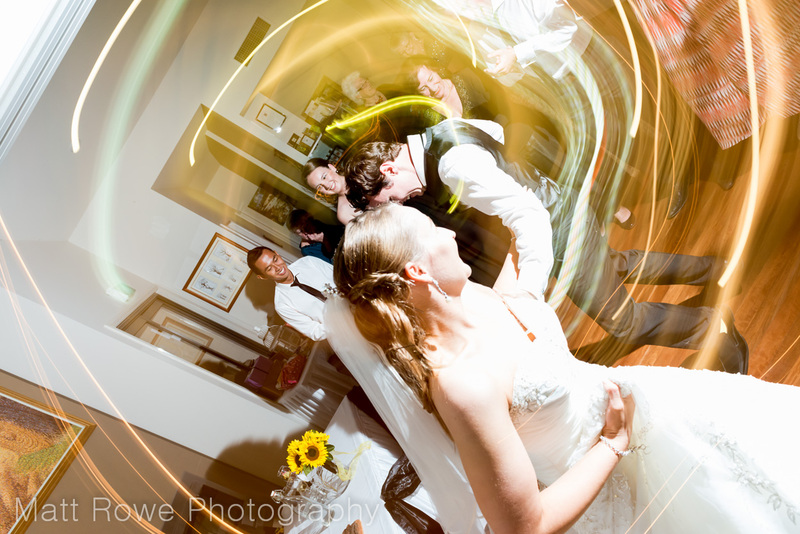 ), everyone was a little more relaxed in terms of wedding photography. 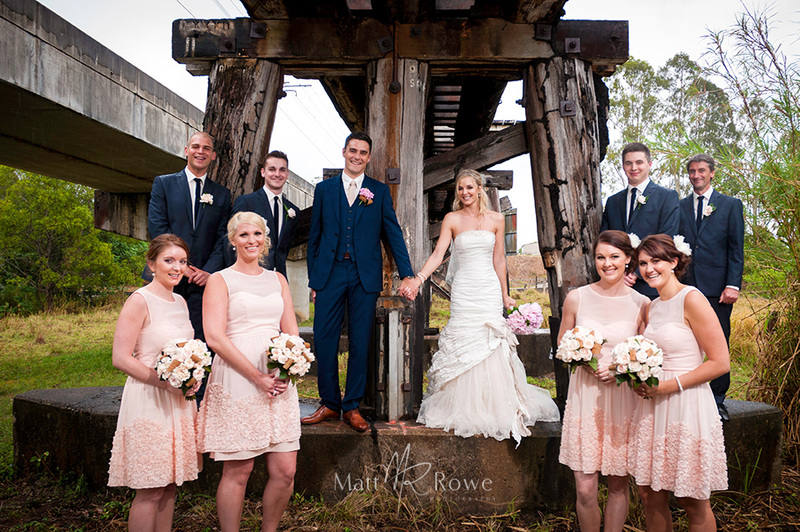 Melissa and her gorgeous bridesmaids prepared in style in the Hinterland. 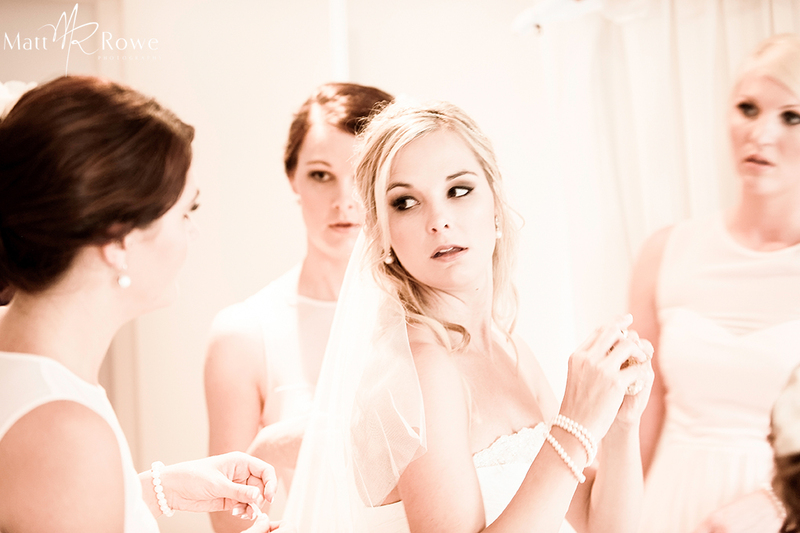 Because Melissa is a make-up artist (Cixi make-up) she was in the zone and everyone looked divine. Melissa is French, and we all know the French have some pretty romantic ways of doing things – French-kissing, eating snails.. need I go on? 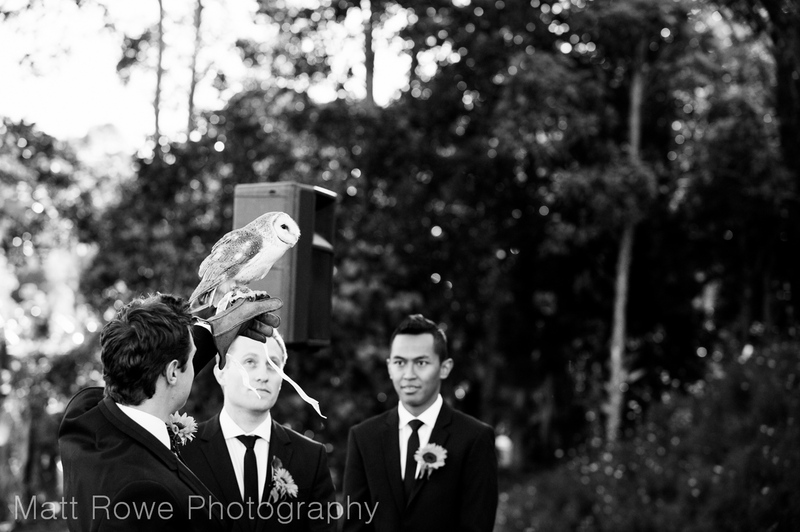 – well they also have a very cool wedding ritual. 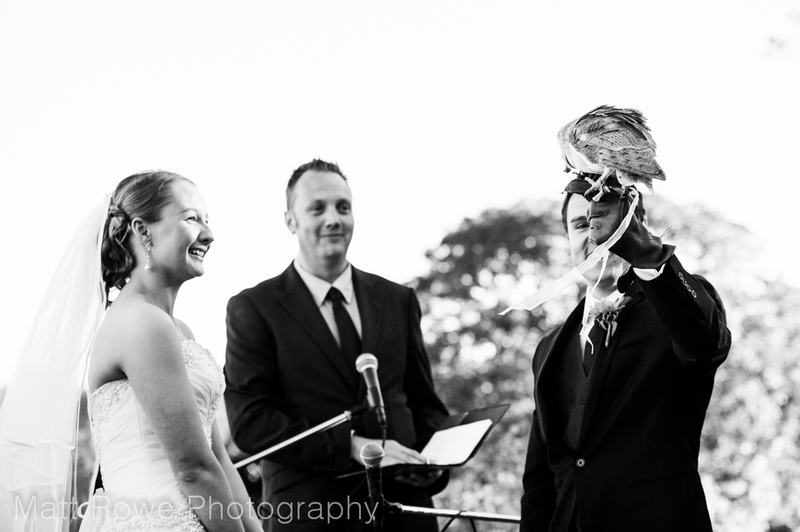 Ribbon cuttings have long been traditional components of European wedding ceremonies. 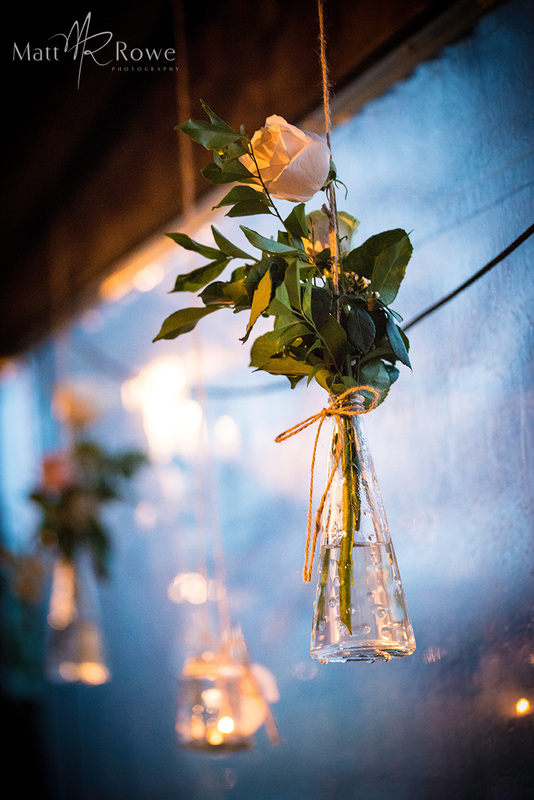 In France, the bride might cut ribbons that have been stretched across the road/ aisle , which symbolizes the couple overcoming obstacles (Read more). You will notice a pretty lovely lady here on the right. 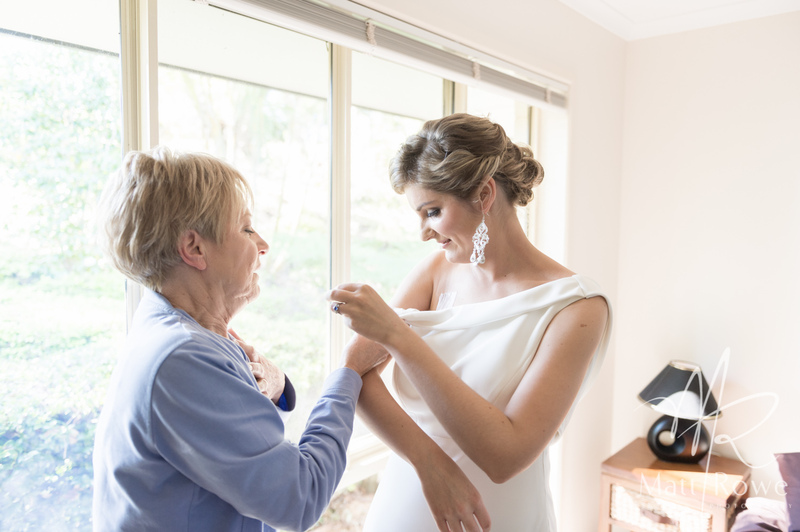 Meet Kari from Kari Celebrations, she is an all round legend, beautiful spirit and very genuine person (all might fine qualities to find in a celebrant). 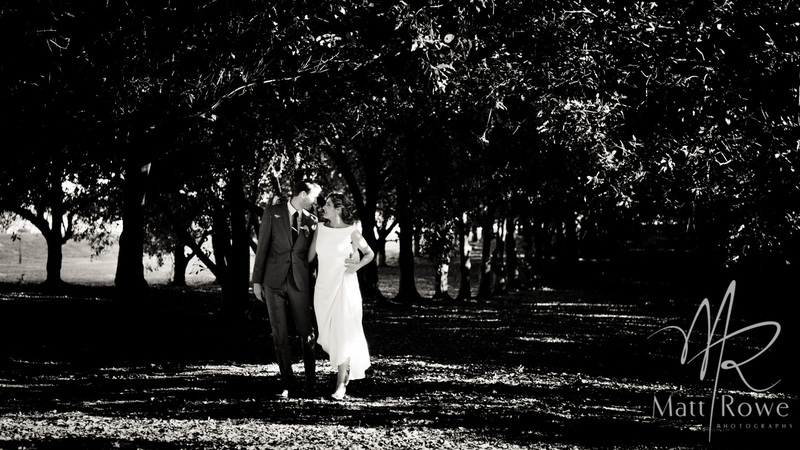 As well as being a super cute little church, the Little White Wedding Church boasts two beautifully manicured acres, with an undulating slope leading down to a beautiful dam, landscaped gardens and a boutique style orchard. 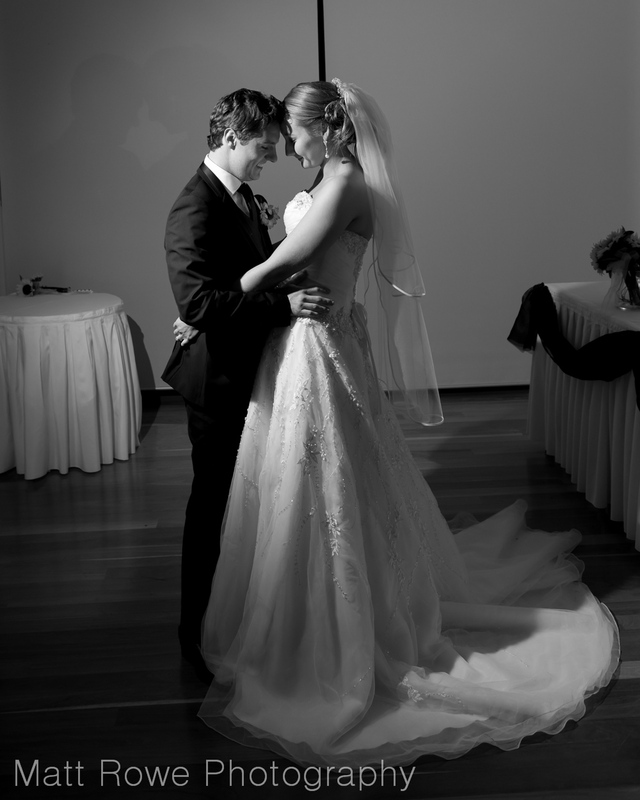 It is perfect for Wedding Photography. The day itself, while being the middle of winter, was actually a rainy one. 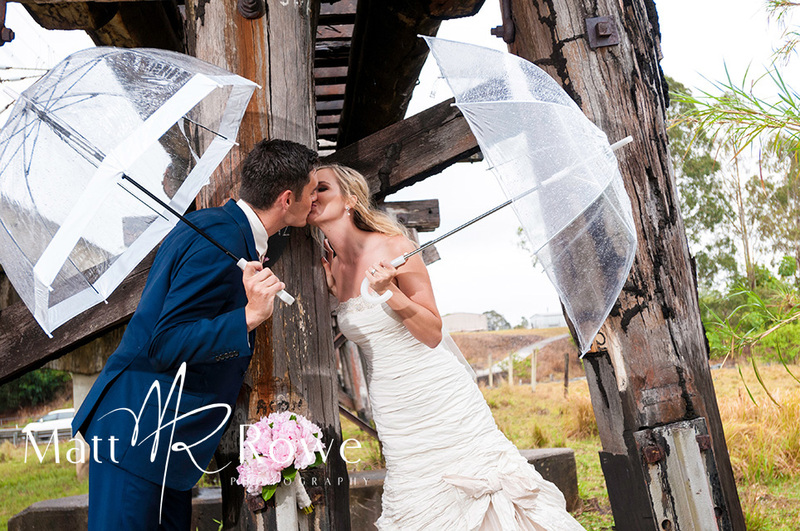 Many couples would find the prospect of a rainy wedding day a little frightening, but we actually embrace whatever the day provides. 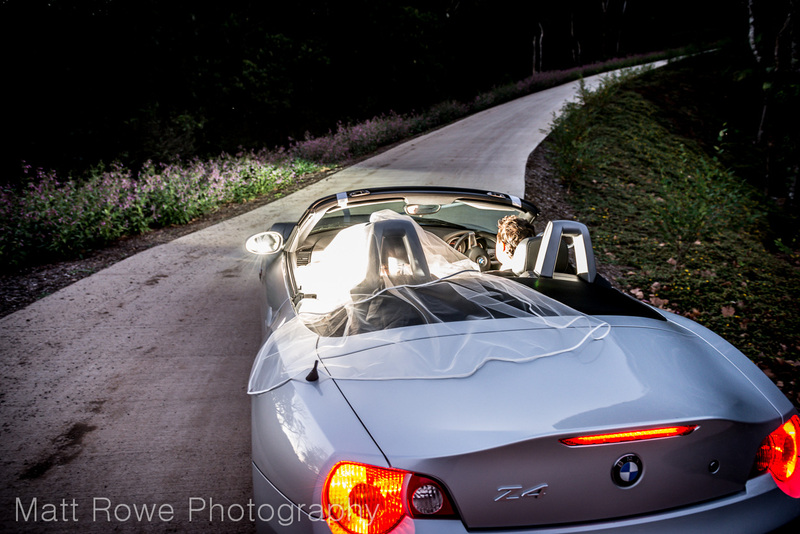 You can plan almost anything and everything for a wedding except the weather. Rain is actually quite cool for fine art photography as it plays with light in so many cool ways – think about rainbows. 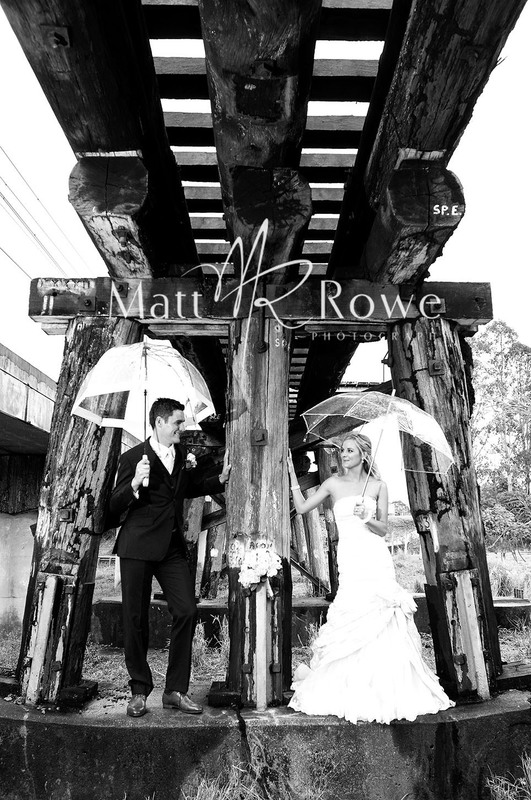 The drama of the scene intensified with a little fog and made these Fine Art Wedding Photography images complete. Being a little bit cold is great for a cuddle. Who needs the warms of an open fire when you have your husband in your arms? 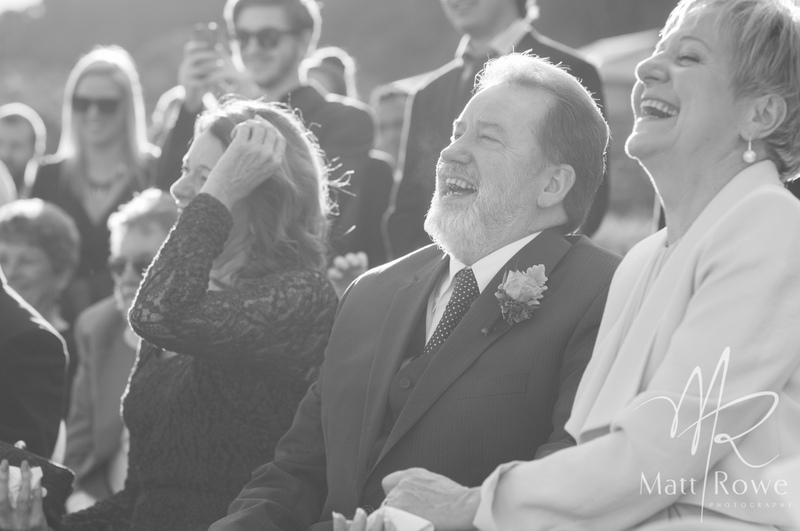 So there you go: marriage & happiness. 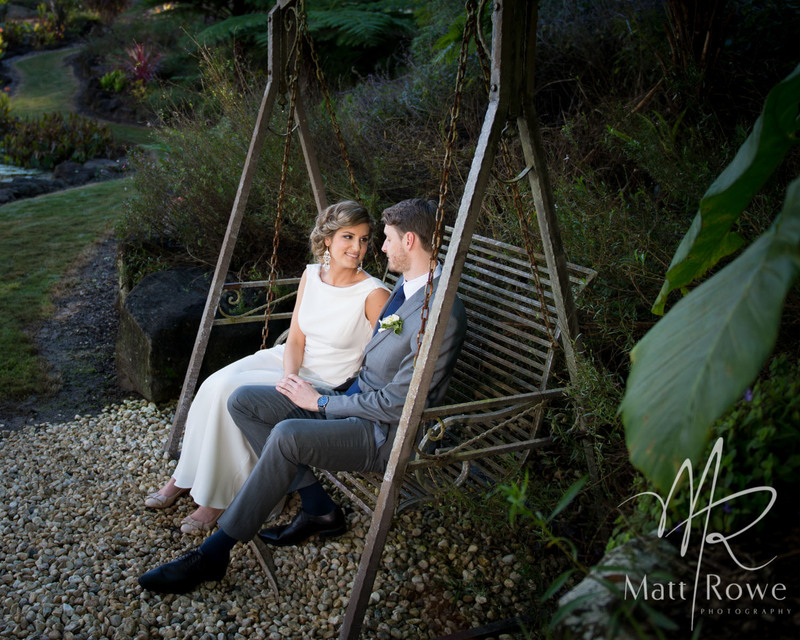 Contact us now if you’re ready to tie the knot on the Sunshine Coast – especially if you’re looking out for a Little White Wedding Church Photographer. 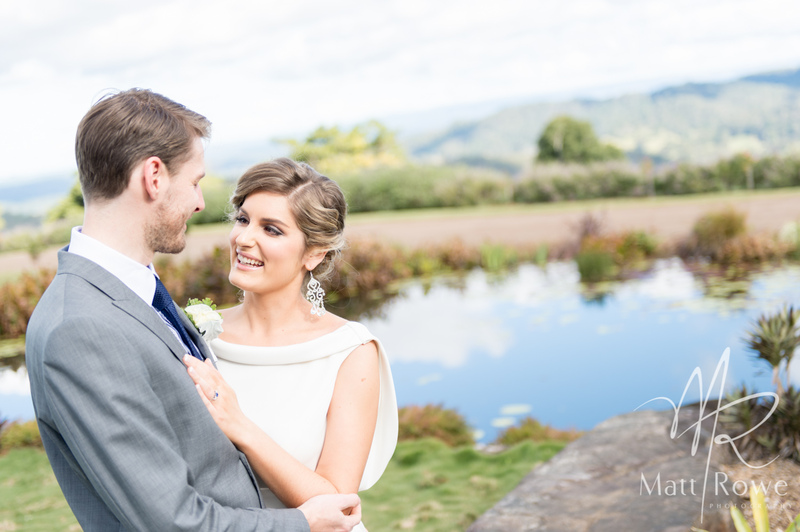 A perfect afternoon was set for Hinterland Wedding Photographer, Matt Rowe and the gorgeous soon-to-be-wed Sharelle and Patrick. 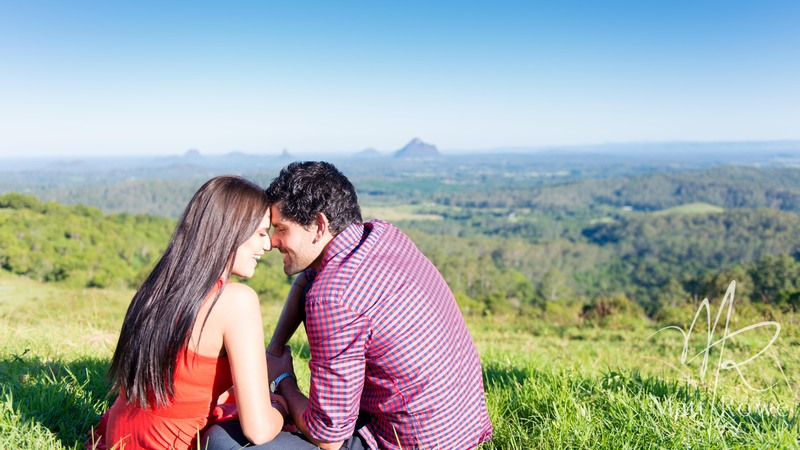 The Sunshine Coast has so much to offer in terms of couple’s photography. 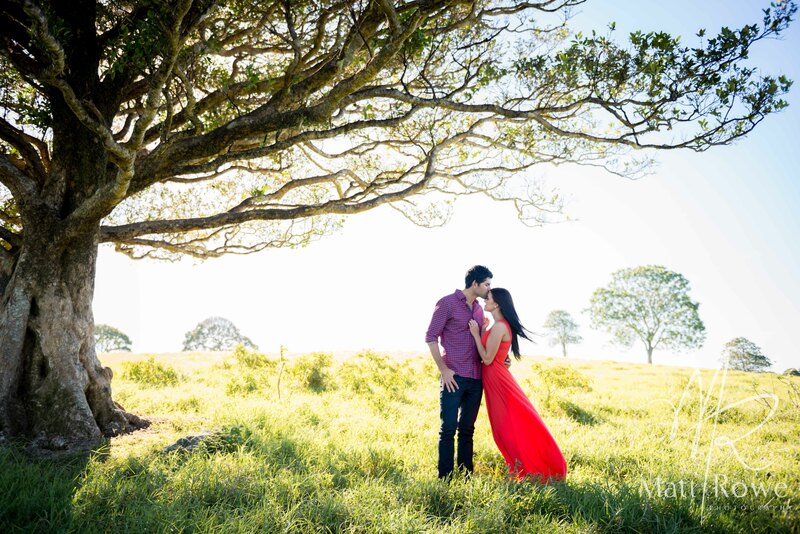 Engagement sessions are a fantastic way to bond with your wedding photographer and get a feel for how the photographic element of your wedding day will be. 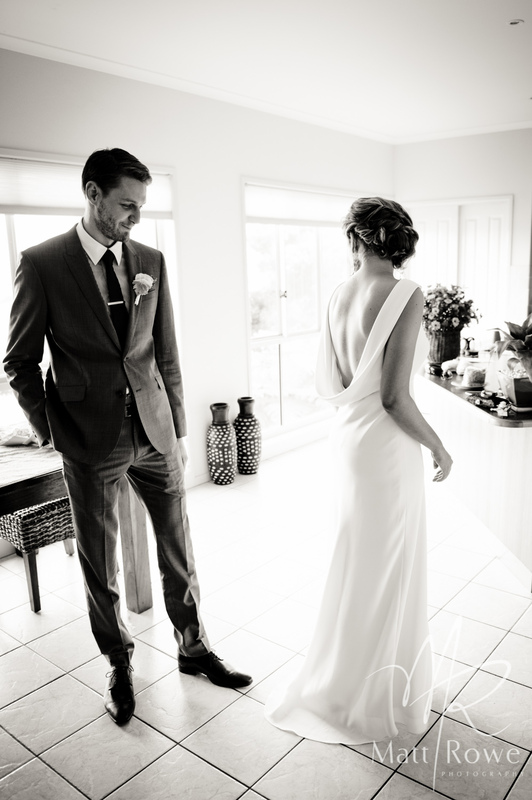 Sharelle and Patrick’s relaxed style and sense of fun made the afternoon an absolute delight. 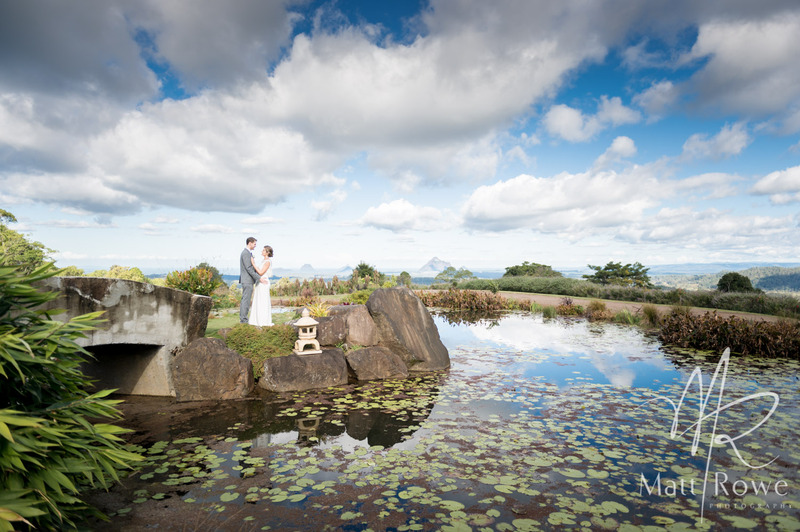 One reason for choosing to have their pre-wedding shoot in Maleny was certainly the view. 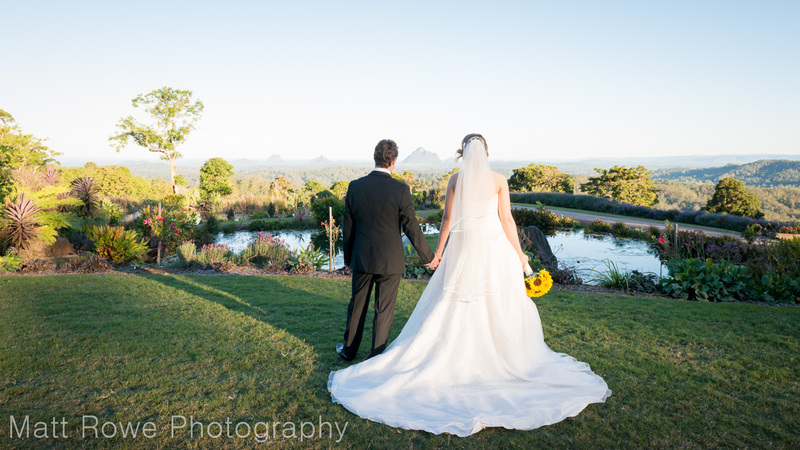 The Glasshouse Mountains (viewed from the Hinterland) are a big draw card when it comes to wedding photography and, yes, they are pretty cool. 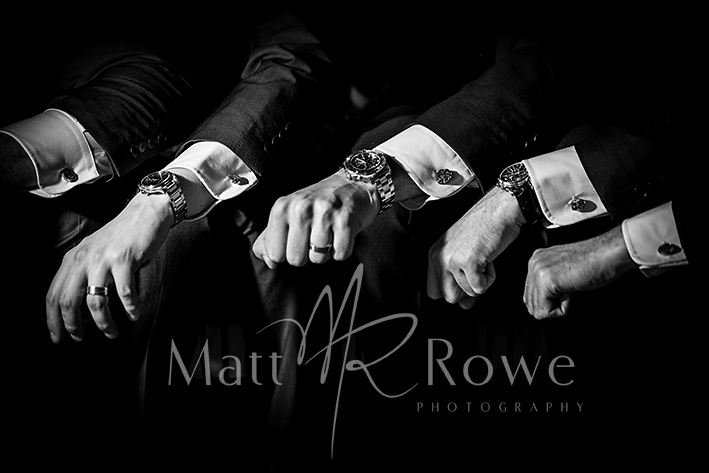 When it comes to Fine Art Wedding Photography there is no limit to style and fun. 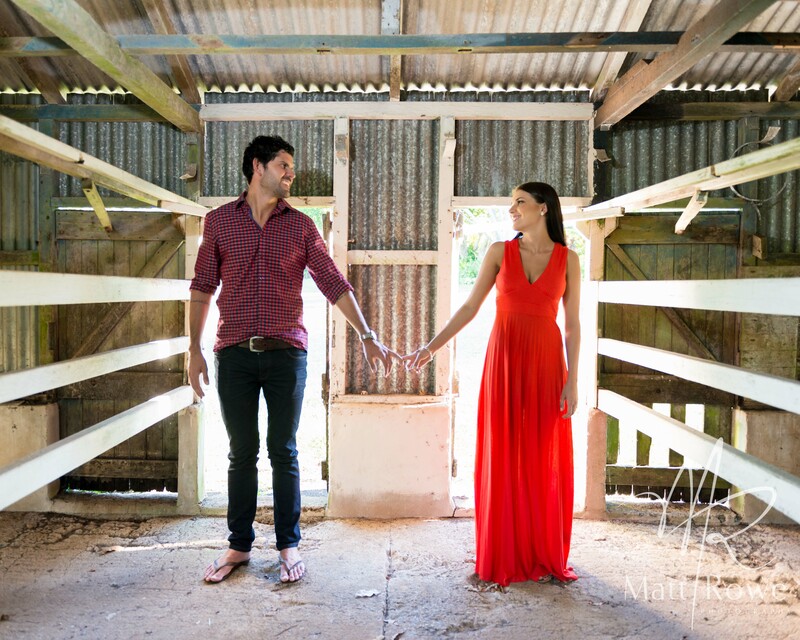 A quirky series in an old milking shed was exactly what Patrick wanted and showcased yet another side to this adorable duo. 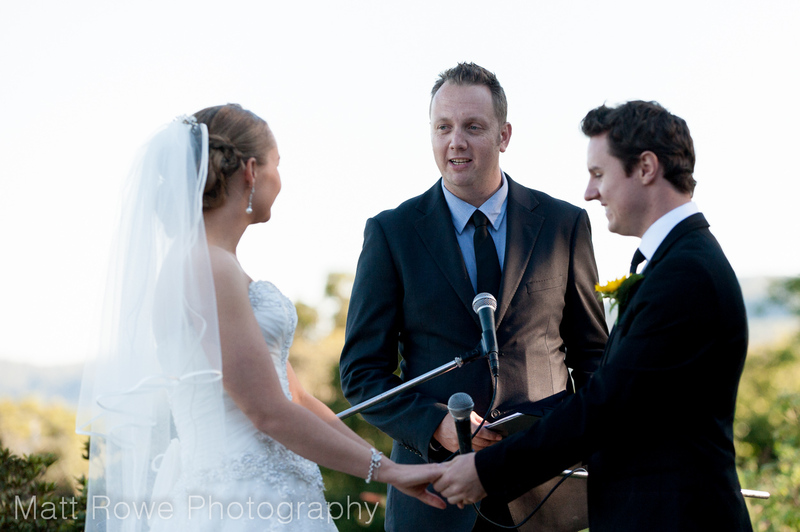 Bring on October, when we get to hang out again as Sharelle and Patrick make their wedding vows in Noosa. It’s set to be a spectacular wedding. Hurrah! 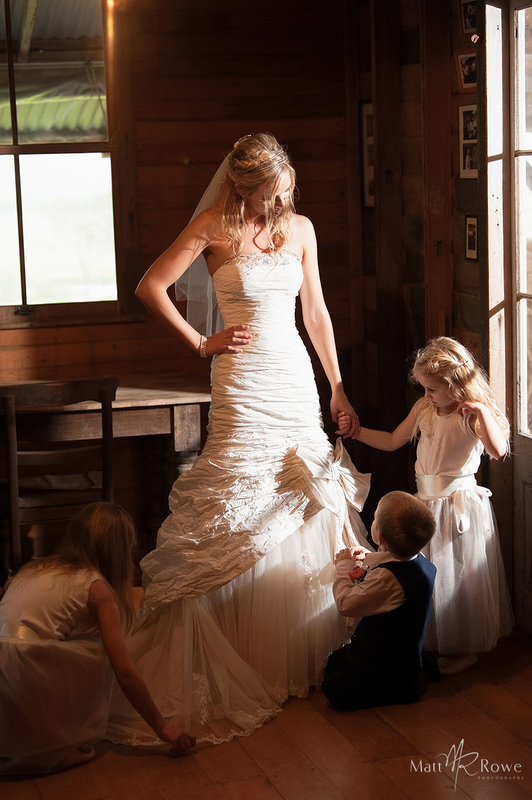 Tess had the ultimate elegant bridal gown (made by her amazing mum). Wait until you see the back. 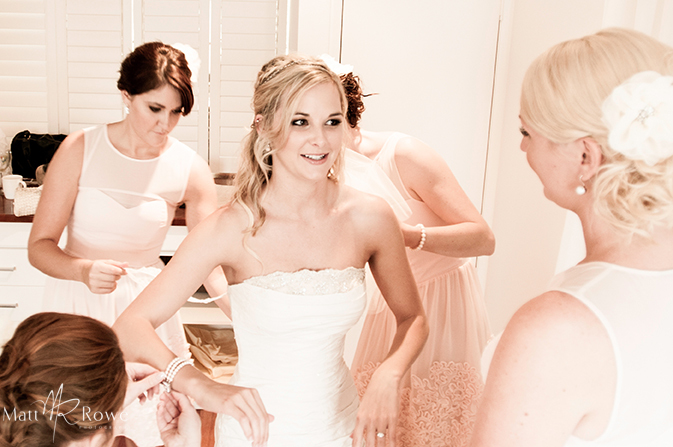 Tess looked perfect with makeup by Tasleema Nigh Makeup and hair by Love and Obey Hair. 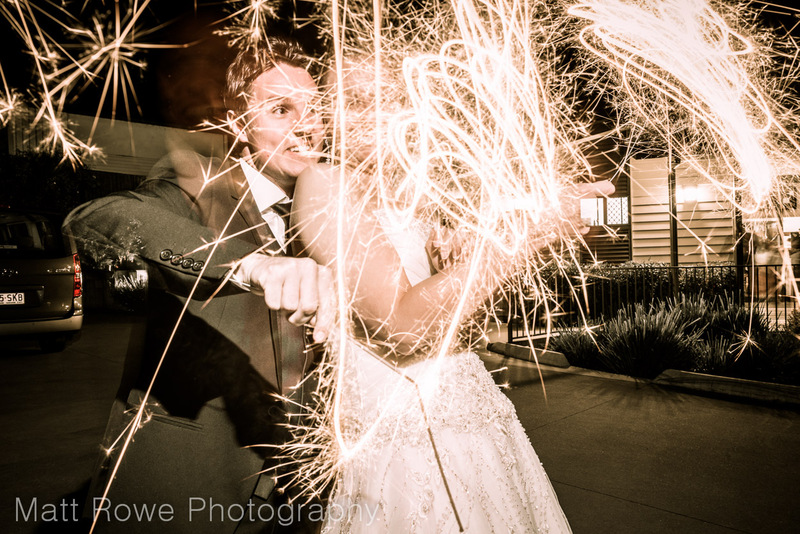 Tess and Glen are not a ‘conventional couple’ by definition. 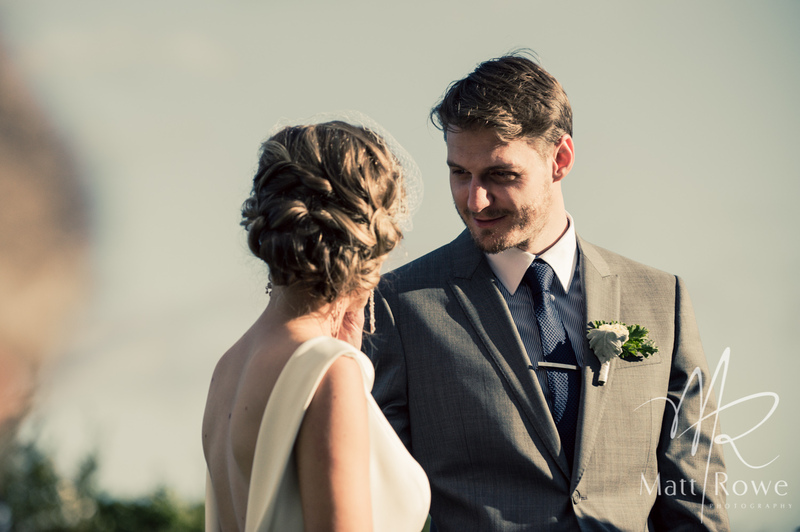 They created their day to the beat of their own drum, which resulted in a clear focus on their relationship with each other and their guests. 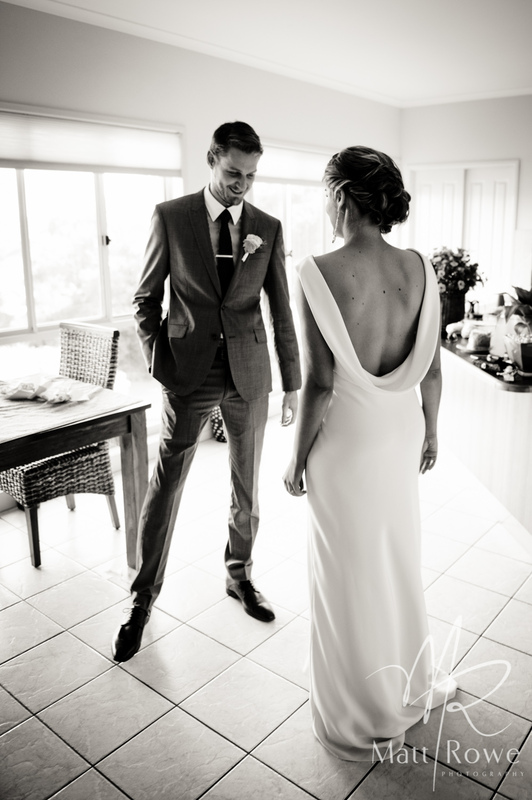 Tess and Glen were more than happy to meet each other before their ceremony to maximise time with their guests. 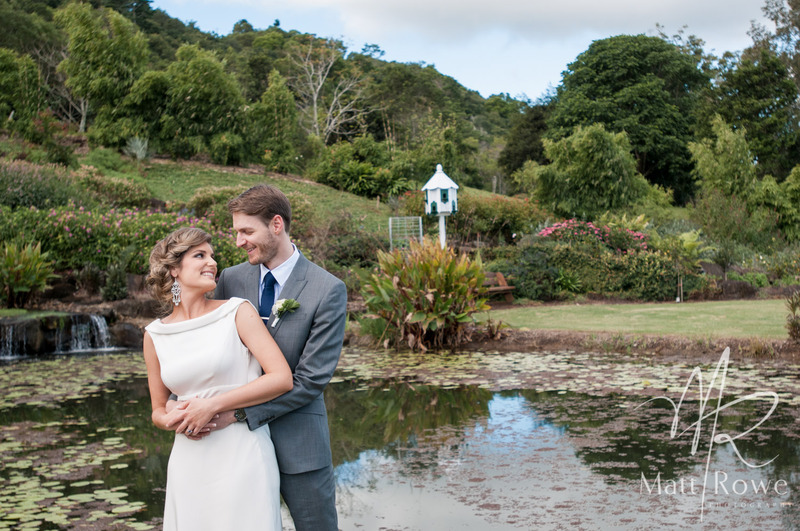 Yes, the Maleny Botanic Gardens are truly spectacular for Sunshine Coast wedding photography. 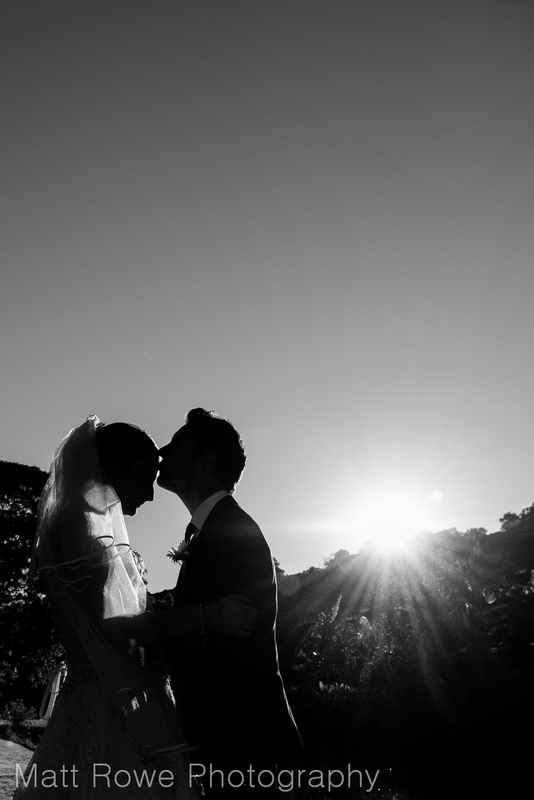 This shot has become one of our all-time favourites. 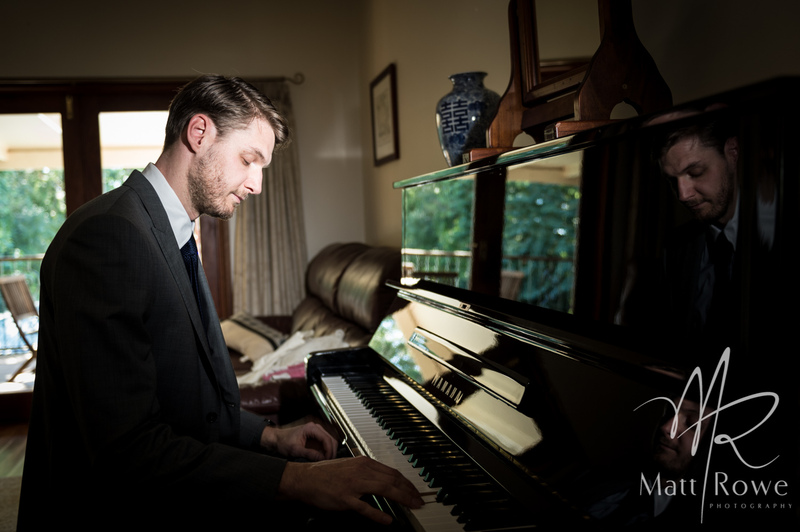 Our photography is classified as Fine Art Wedding Photography, but it is not only that but the emotion of people and the story-telling of a scene that keep us inspired; we are blessed to be part of a couple’s day in this regard. To me, this image of Tess is sheer elegance mixed with confident poise. A favourite! 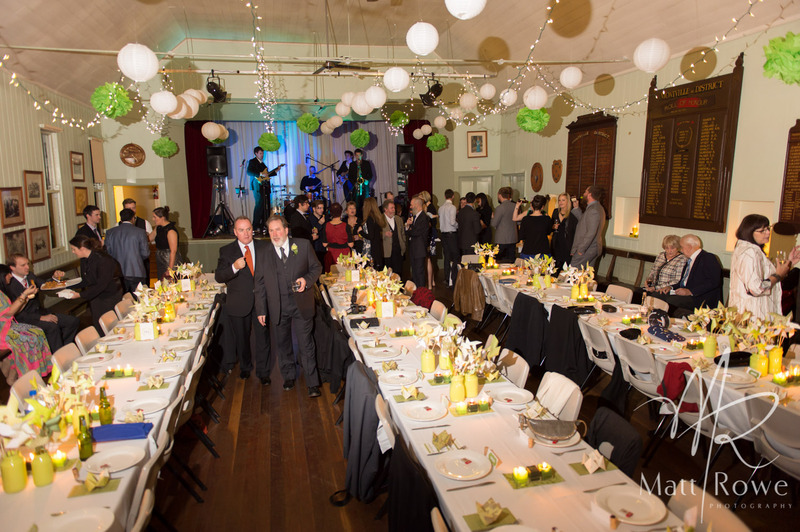 The Montville Village Hall is one awesome venue. 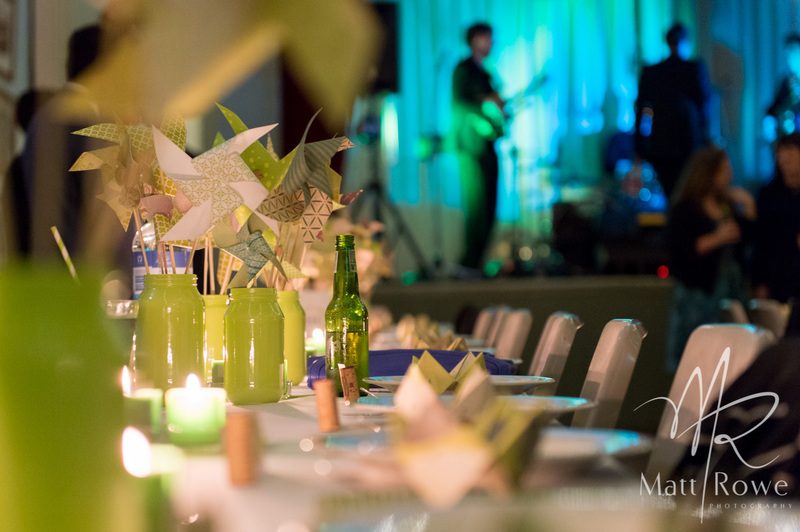 It provides vintage charm for intimate wedding receptions. Capitol Groove kept the dance floor pumping. 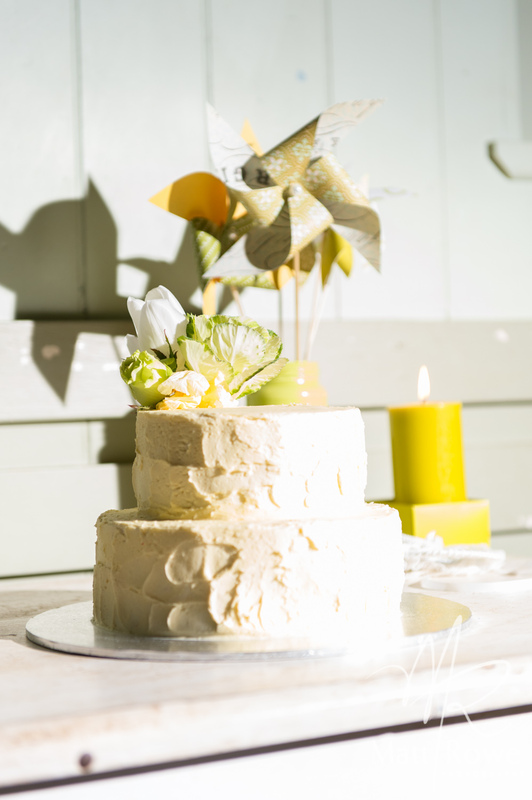 Tess and Glen chose the wonderful Deb from Designer Cakes by Deb to create their wedding cake. All the best guys, the only regret we have is not being able to open that darn phone-booth to get the Superman shots! 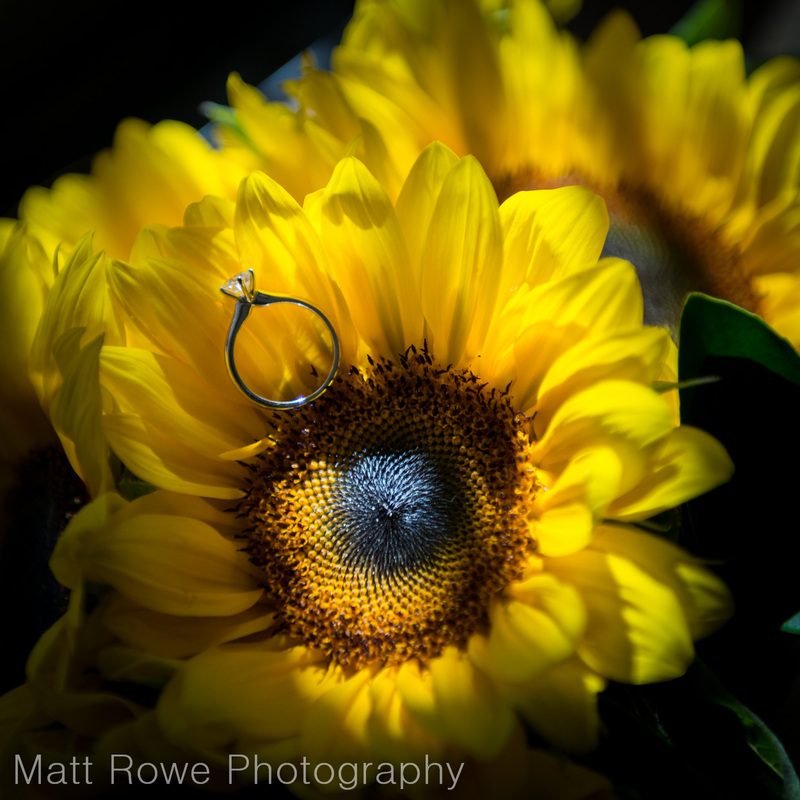 Photos by Matt Rowe Photography. 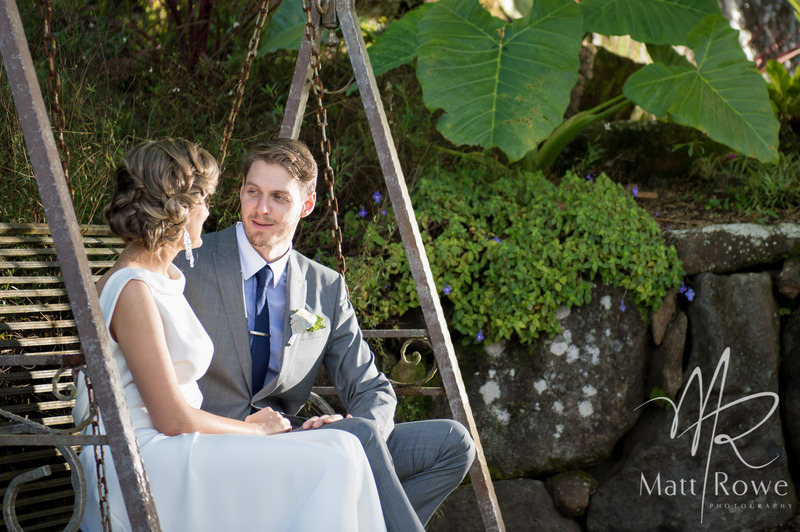 Maleny Botanic Gardens provided the sensational backdrop for Taylor and Tristan’s Sunshine Coast Wedding. 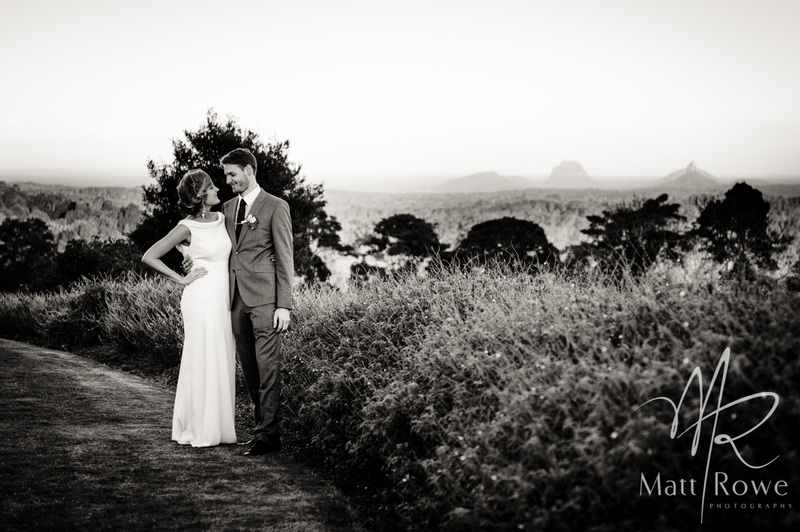 With all their majesty the Glasshouse Mountains were certainly on display as these two love birds tied the knot. 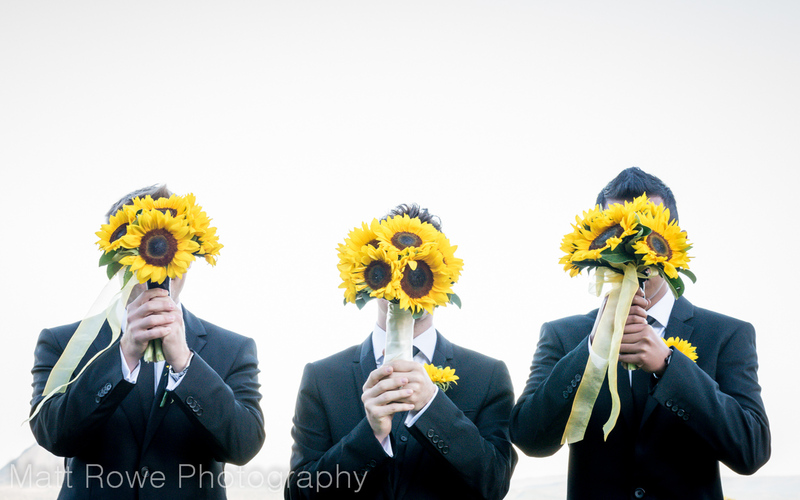 A couple with an obvious connection to nature chose Sunflowers as their floral focus. Colourful bridal shoes as quite a conscious fashion choice to maintain the theme and reflect the personalities of bride and groom (though boys tend do this with some styled-up socks!). 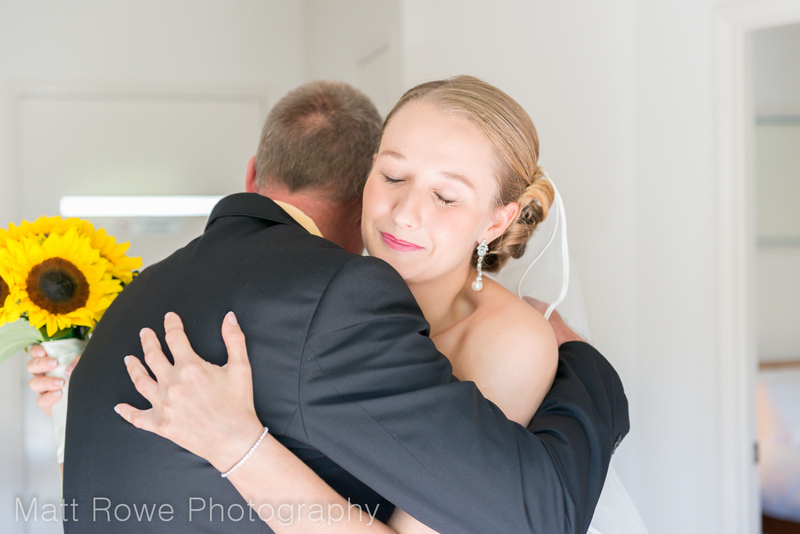 These are the moments life is about: Dad waiting to see his little girl ready to wed.
You can see the obvious strength of this father-daughter relationship by their emotion. Makes you warm and fuzzy, doesn’t it? That’s what we are talking about! 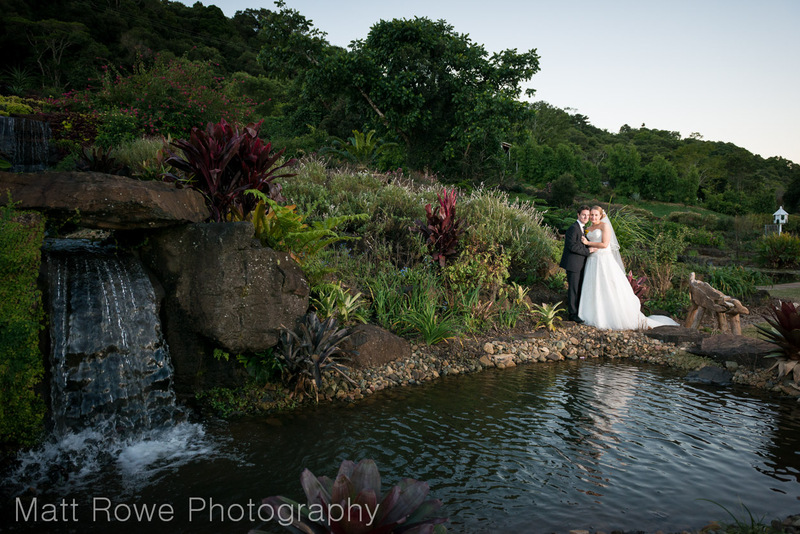 If you value photography for your wedding then the Maleny Botanic Gardens really are a superb venue to check out! The above image was chosen by Taylor and Tristan as their wall art due the moment captured and the strength of the emotion they felt at this time.